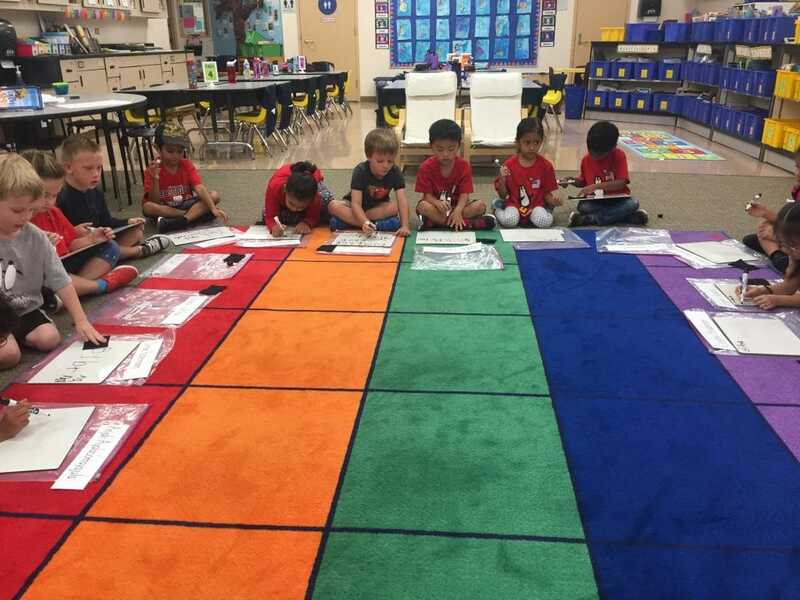 ST Math on Tablets – This week as you may have seen from Mrs. Leatherwood’s post, the students were able to get on Tablets this week to work on ST Math. This is a great program we use at school only. This allows us to track each student and their independent progress. We will try to get on these 2-3 times a week. Tile Math – We are continuing to spend time on Tile Math. The students will be doing Tile Math and ST Math (on tablets) in 2 groups. Half will use one program while the other half of the class uses the other program. Half way through the students will switch so they get time to do both. This is a new process for us all so it will take a little time to get the kinks ironed out, but so far the kids are doing great! 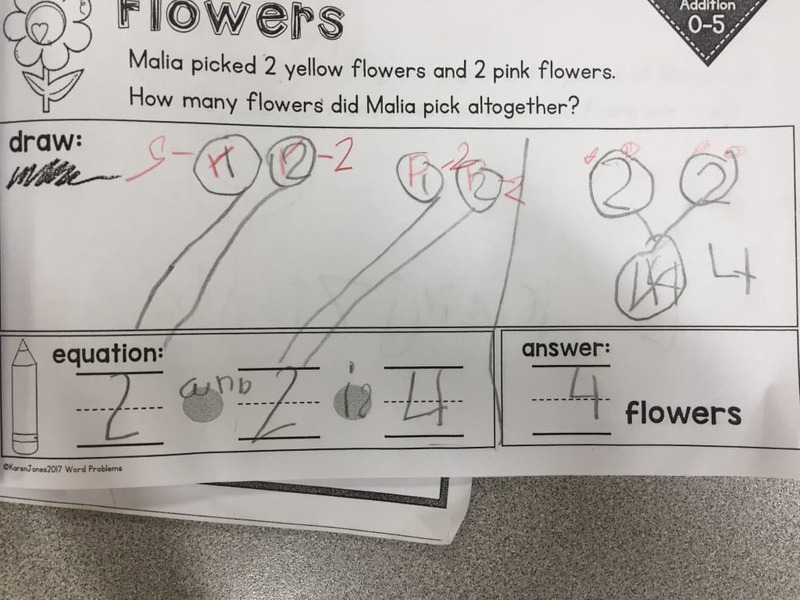 Showing Understanding vs Difficulty of the problem – During our Problem of the Day (POD) time, students are working with numbers 0 -5 to practice how to show their understanding and thinking to solve. 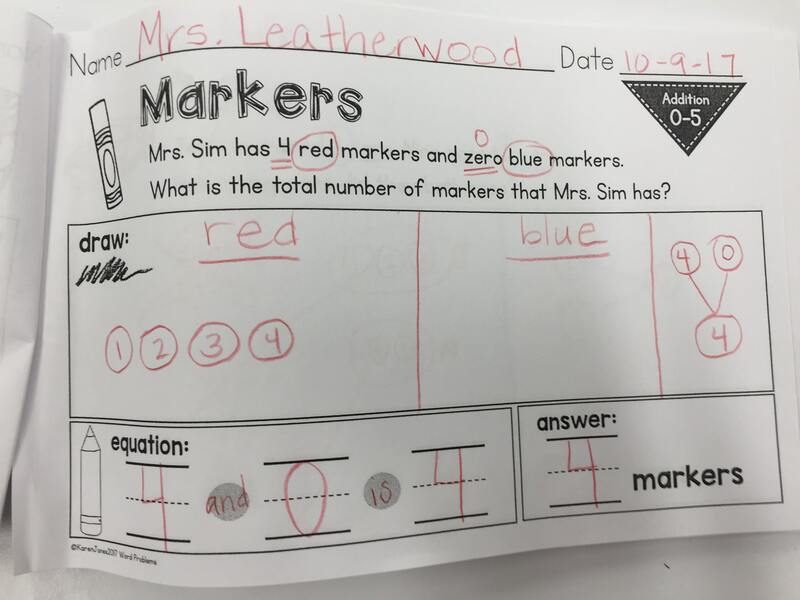 In addition they are learning how to show the problem in a number bond (see photo of teacher sample) and write the equation and solution. 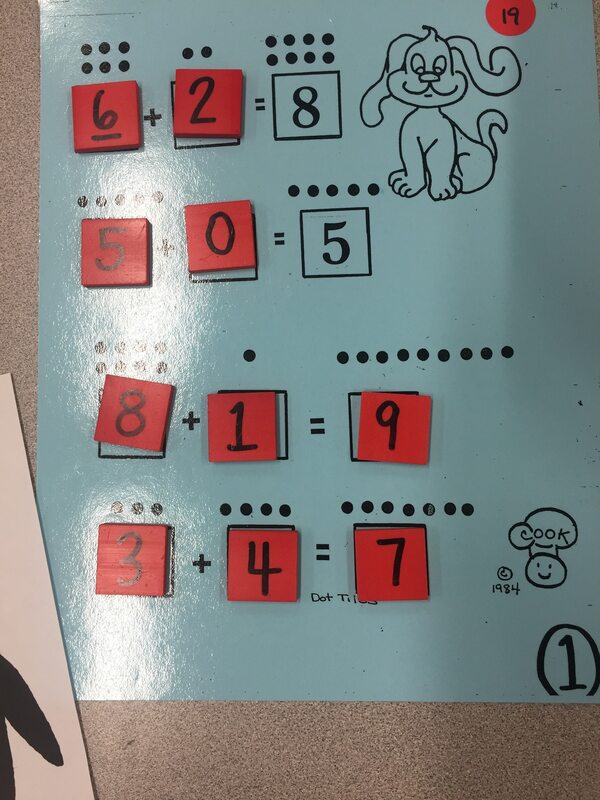 As students become more proficient at showing their thinking they can solve the same problem with larger numbers. For now the focus is on the explanation and thinking so they can discuss and defend their solving. This is a great foundation for what is to come in future years with more complex problems that still require the showing their thinking and understanding in more than one way! Starting each sentence with a capital letter (this will take some time to work on as casing usually involves habit breaking and setting). Stretching (saying the word slowly by individual sounds to help write down what we hear) and matching the letter to the sound we hear our mouth stretch. We will be preparing a collection of all your student’s writing since the start of the year with date stamps so you can see their writing progress by date! 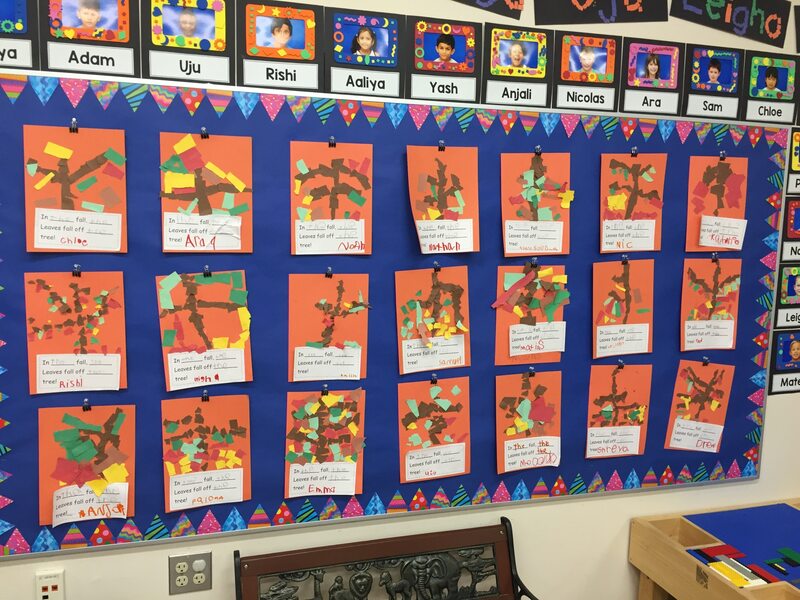 Here is this week’s art made with Mrs. Leatherwood. So cute!!! These have a very cute and classic poem attached! Over these next two weeks we will be doing assessments with each student to see where they are currently at in math, reading, writing an other literacy elements. These assessments will be explained at Parent Teacher Conferences. This helps us to track student progress, reflect on individual next steps, and plan for next steps in our lessons. 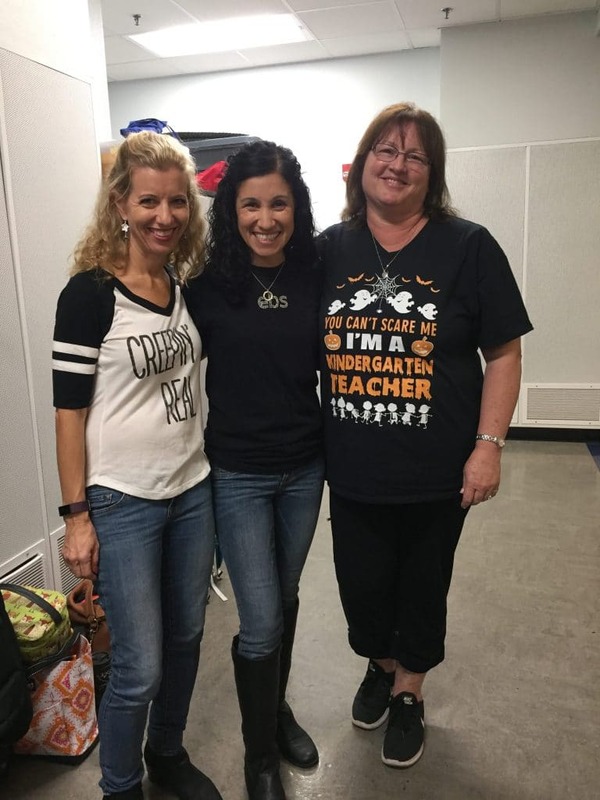 November is the month where every family is given a time slot to meet with their teacher to go over their child’s progress. An email will be going out this afternoon to sign up for a conference time/date for the week before Thanksgiving break. Be aware that the sign up email will go to both parents, so please coordinate when choosing one slot. Each slot will be 30 minutes. During the conference, we will go over literacy and math progress levels and evidence within this time. The conference will be full of information. To be respectful of everyone’s time we will run as close to the schedule as possible. Keep your eyes out for the email in the next couple of hours. This month our school has been learning all about generosity and what it means to give freely! As a school we practice this trait by working as a team to bring in dry foods for the Food Drive. 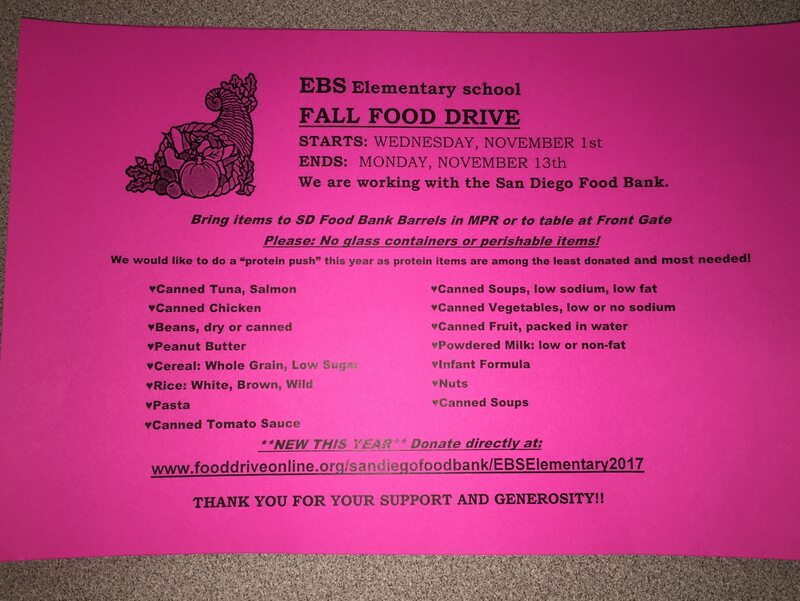 This year families are offered another way to give to the Food Drive…families can donate on line! At EBS we LOVE grandparents so we set aside a special day to celebrate them! Our class will be having its own celebration to honor our grandparents in our class beginning at 9 am in our 206 Classroom! Please invite any grandparents who are able to visit and receive some special love! This is the one day that non-cleared family members are welcome on campus so that all grandparents may attend! 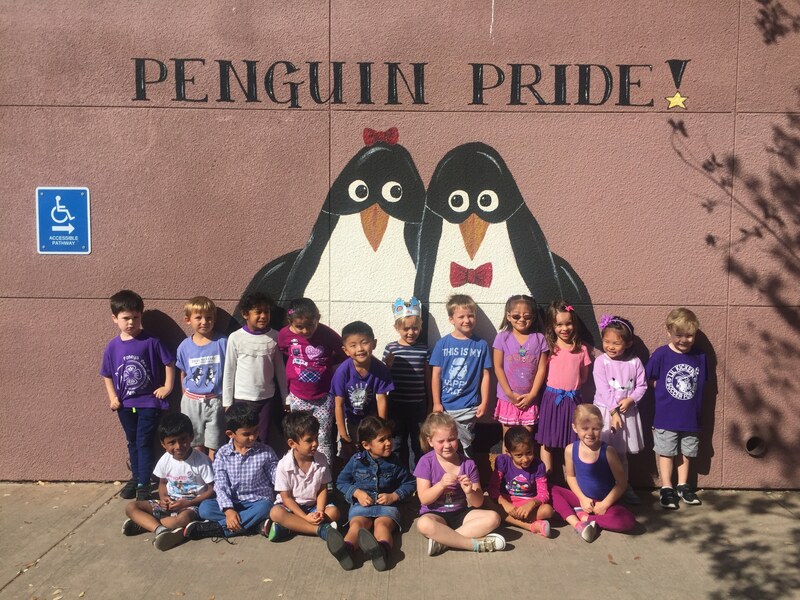 (Our class celebration will last from about 9:00 – 9:45 and then grandparents will be given the option to personally take their grandchild to the book fair for a visit together and then return their grandchild to class). Just a reminder that November’s Scholastic Book Order went out Friday and is due back next Thursday. 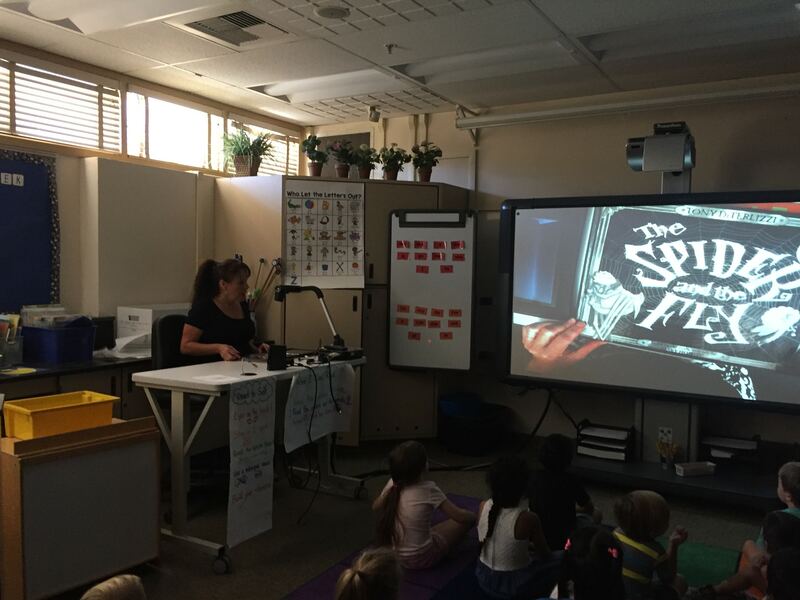 This past week Mrs. Krissy from the office offered to come and read a very engaging story to our class! 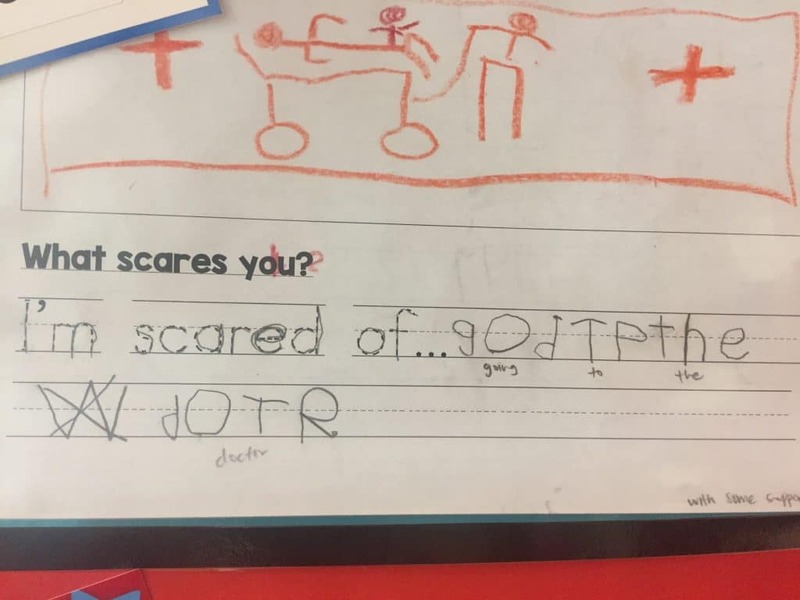 The kids loved it and had many questions! 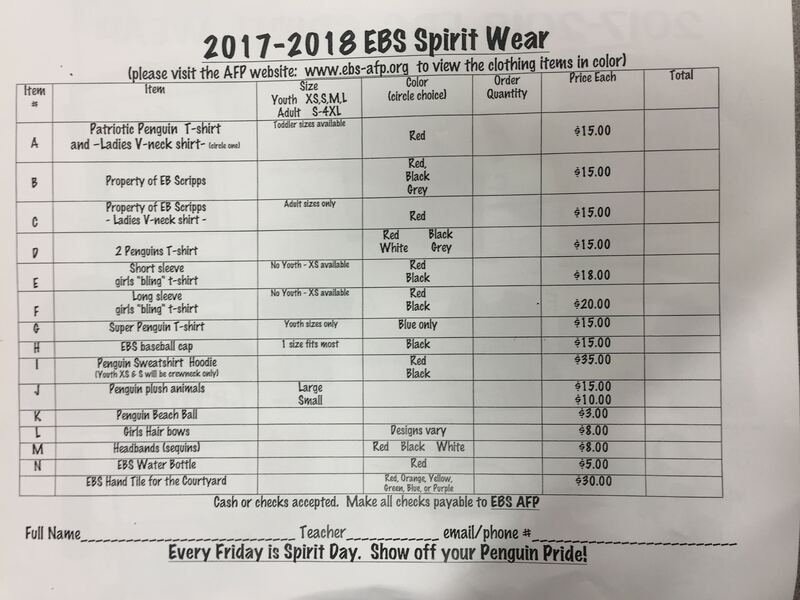 No costumes on Halloween Day at EBS. 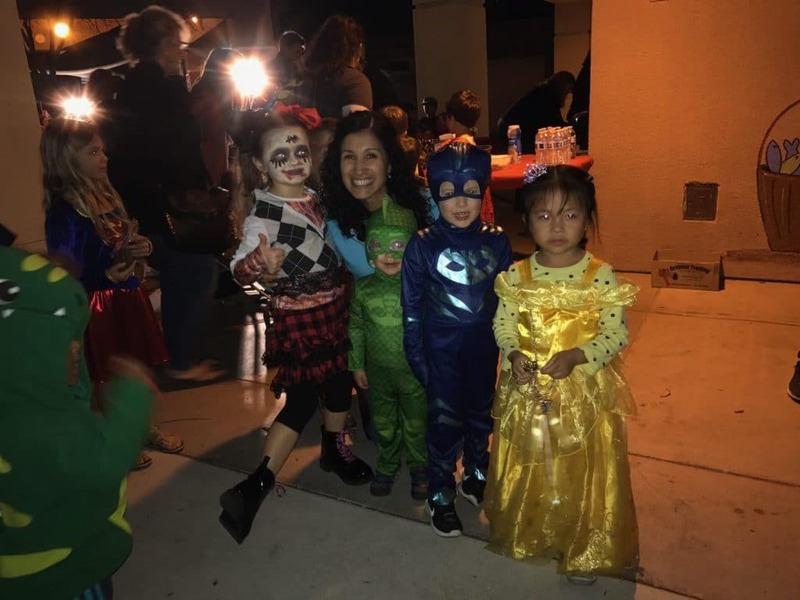 Save them for later that day for a fun filled evening in your neighborhood! 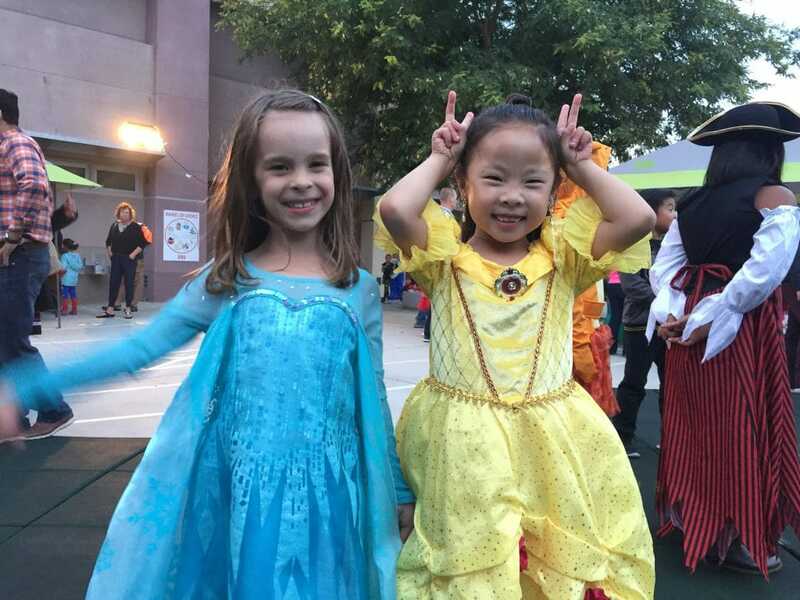 What a fun evening everyone had at Fall Festival! A big cheer to Mrs. Leatherwood as she co-chaired the event and the evening went on fantastically without a hitch! 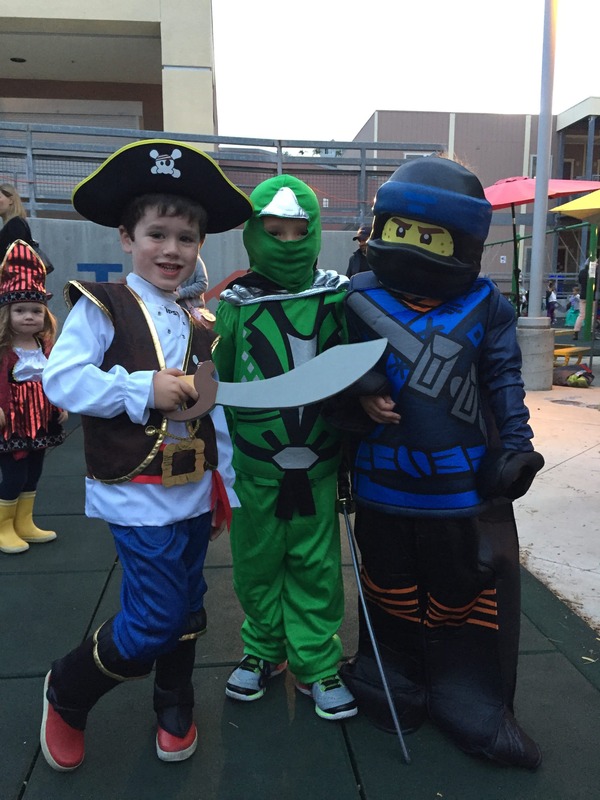 Here are some pics we captured of our 206 littles! Thank you for everyone that came out to enjoy the night, support our school and those of you that volunteered to help! Thursday morning at 10:19 am on 10/19/17 we participated in a disaster drill. 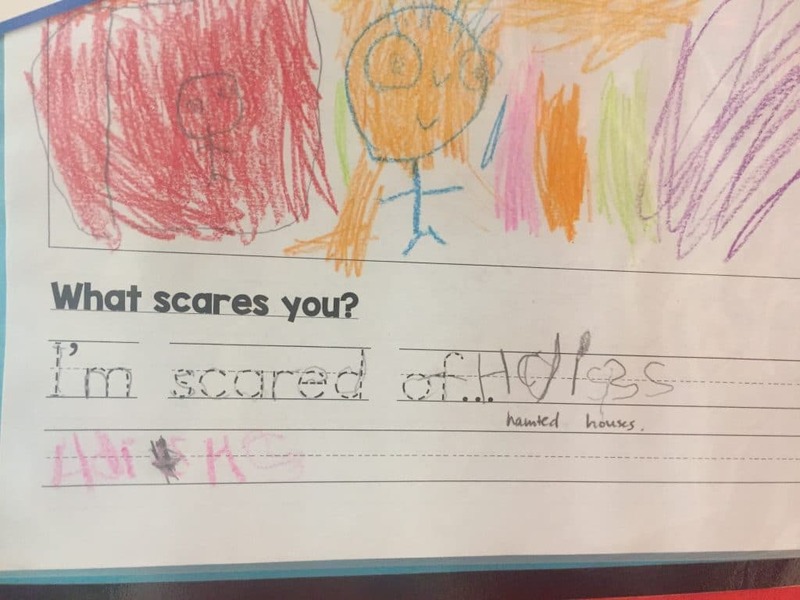 We have had one before so the kids did a great job. They know their whole body needs to be under a table and their head and eyes are most important to protect. 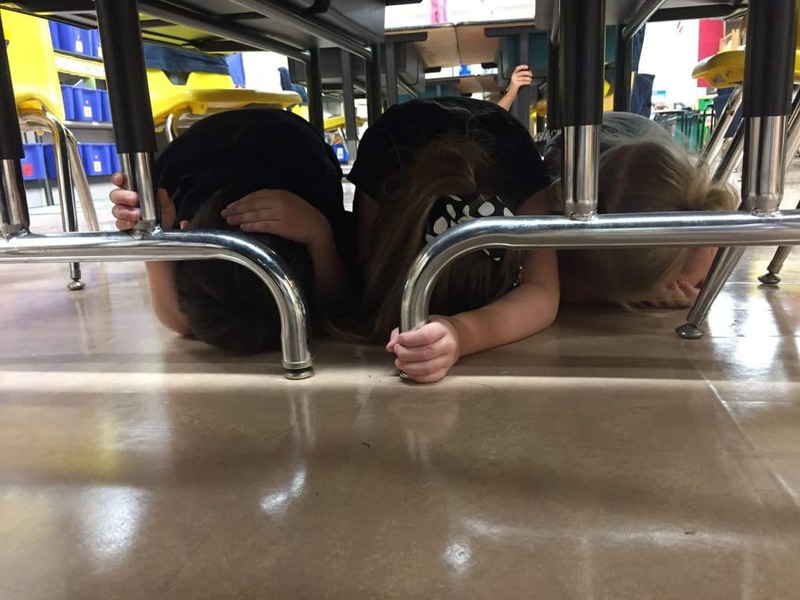 After room has stopped shaking (pretend shaking is signaled by Ms. Sloan over the intercom), we leave the room to get out the safest place possible which is outside. 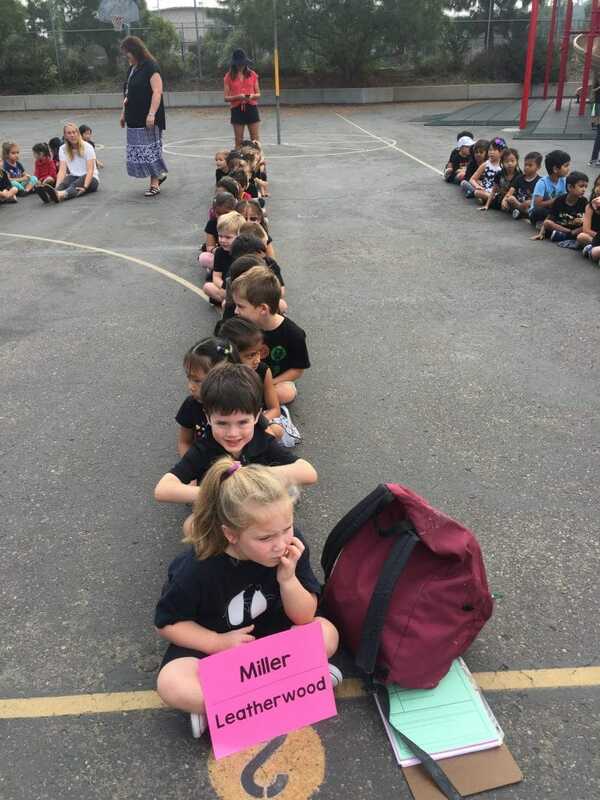 Our goal for next time is to keep working on staying close together in line as we walk without getting distracted so the line doesn’t get separated or lost. Give these kiddos a round of applause for their efforts and bravery as we learn and practice what to do in the event of a true disaster. Just a reminder for all parents coming in to volunteer…. If its possible (depending on your volunteer time), please come in early around 8:35 to go over instructions for the day. 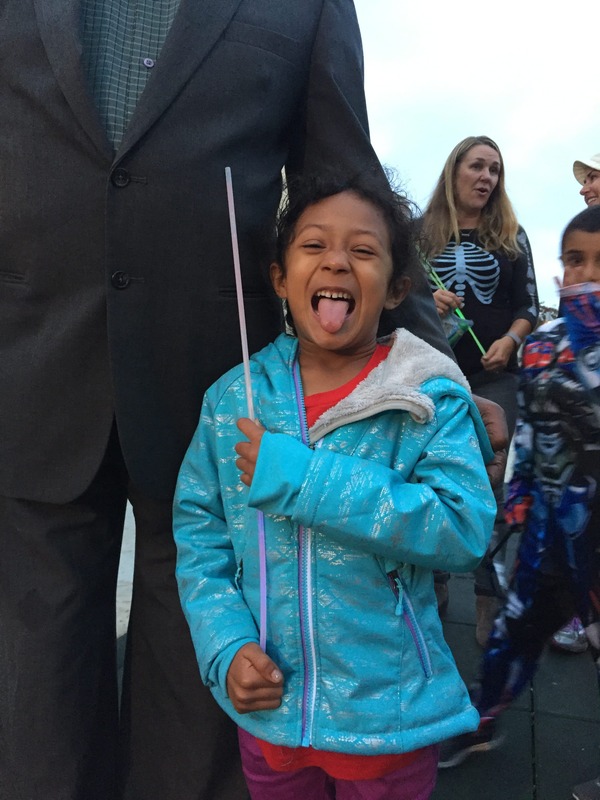 If you are volunteering, please know you are free to go out with the kids for snack and recess if you wish. You get a very different picture of the class/students when they are in their unstructured time and they love spending that time with you. We’ve spent this past week and half really focusing on stretching words out in writing. They are getting much better at it! So exciting to uncover the code of writing. They use their alphabet chart and sight word lists to help aid them in their writing. Slowly they are starting to write out their desired messages! 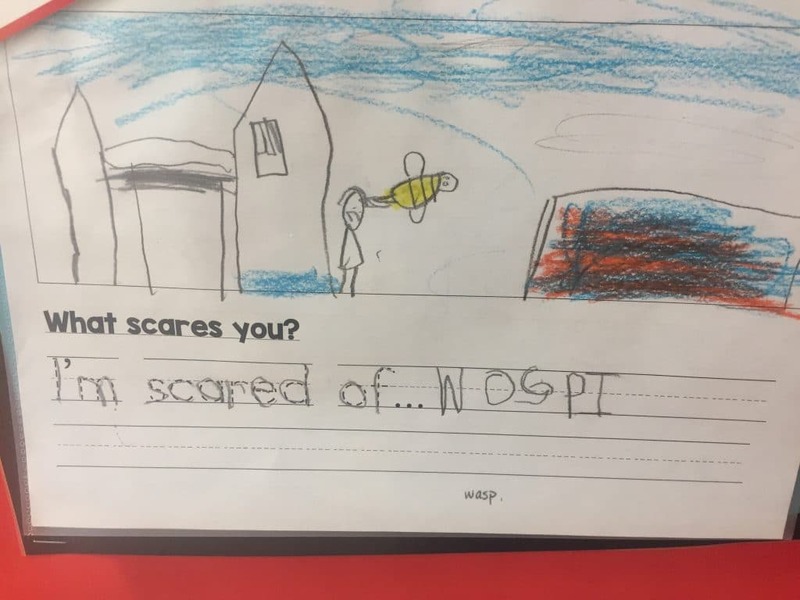 This week we also wrote out wall writing by the door with the prompt of… “I’m scared of…” Stop by and read your child’s response and see their writing! 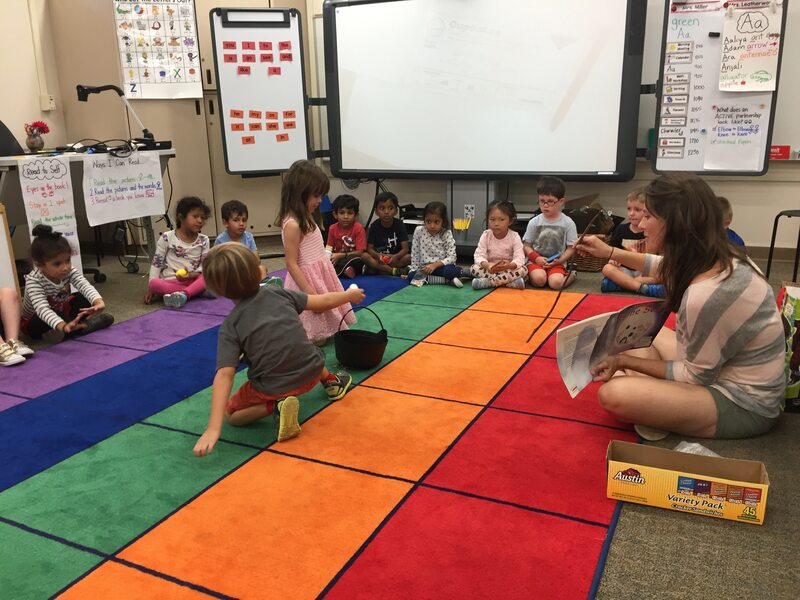 This week, we had 3 fifth grade students come in to teach the students an additional lesson responsibility. These 3 ladies were fantastic! 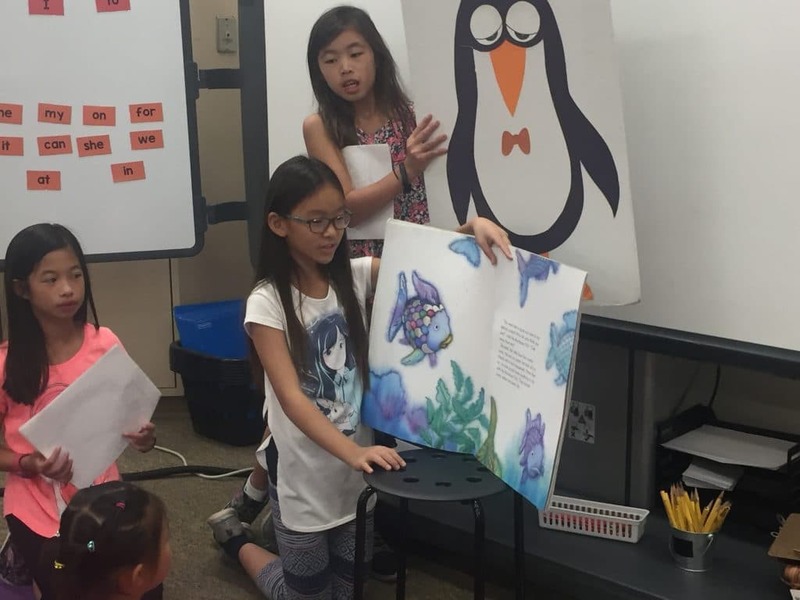 They were helpful and encouraging to the whole class and kept the students engaged the entire time by explaining generosity, reading a book about it (Rainbow Fish) and playing a game where the kids had to show thumbs up or down to tell if the example given was generous or not. Bravo 5th graders! We are looking forward to you returning next month! 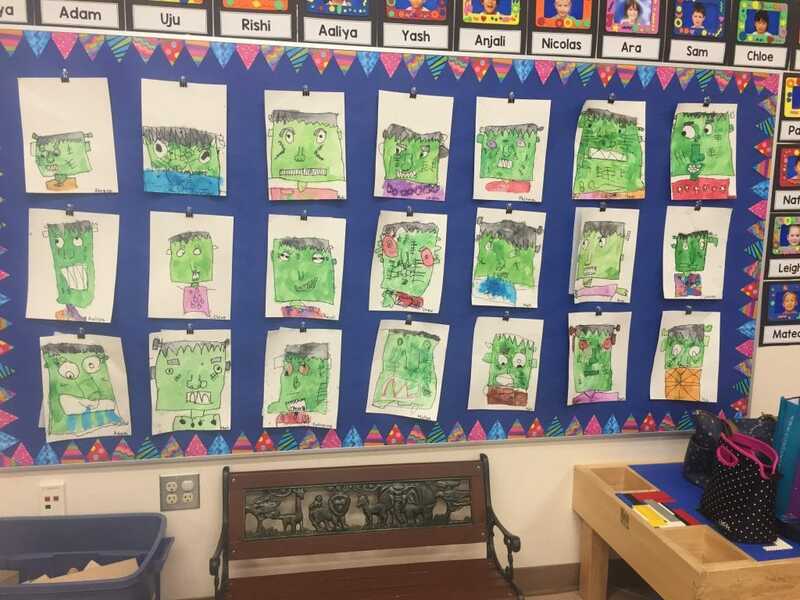 Mrs. Leatherwood made some adorable “Franken-art” with the students. Check out their talents! 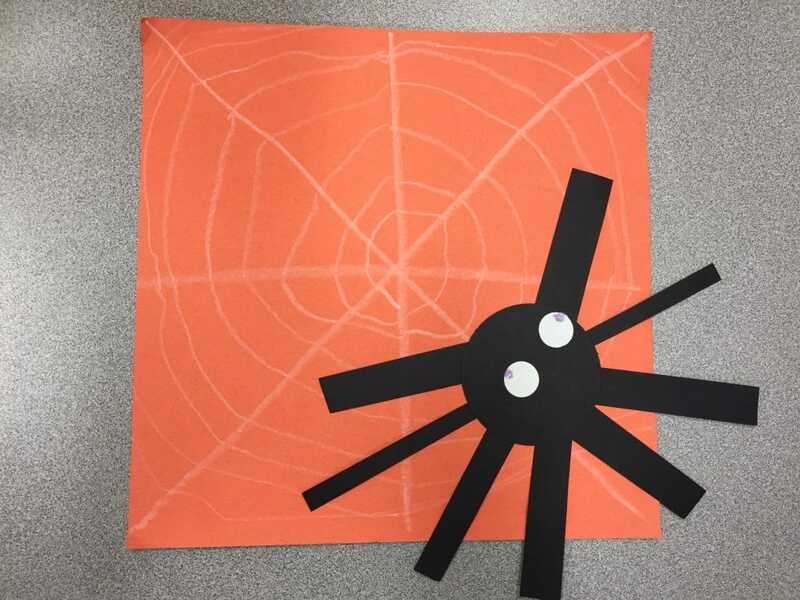 In addition we also made spiders and webs for our quilt art! 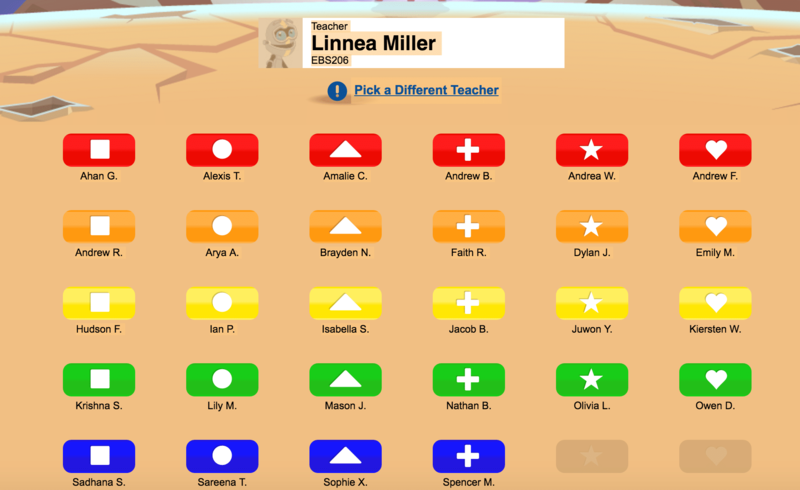 If you need a new reading log or something of the like, please feel free to leave a note in your child’s folder with their name on it and the folder helpers can put it in your folder or if needed pass the note on to the teachers. Please encourage your child to carry their own backpack, and put away their own snack, folder, and backpack. This sends a encouraging message to your child that you believe in them and their ability to do the task on their own. In addition, it makes them responsible for not only bringing their own materials, but an awareness about their materials. Occasionally we can’t find someone’s folder or snack and when we ask if they brought it that day, they have no idea if they didn’t put it away themselves. If they are the ones to put away their own belongings, they will have the knowledge if it came to school and if it was put away. I know this takes a little longer, but is very important for your child and gives them a sense of pride and accomplishment. This past weekend I went down as a group of 12 to Corpus Christi and took an opportunity to join an organization called Samaritan’s Purse. They help local areas during disaster relief. They have been helping with the aftermath of Hurricane Harvey. 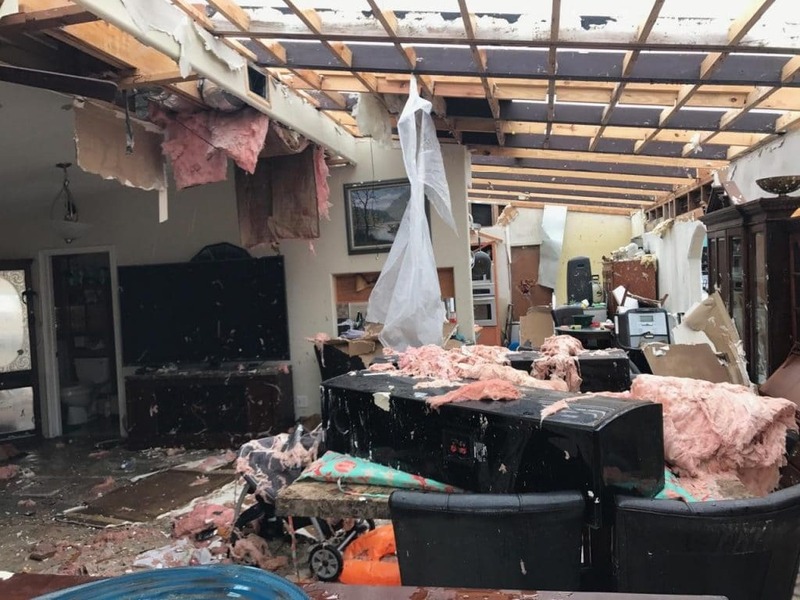 Individuals and groups, men and women of all ages have been coming for as little as 4 hours to weeks to donate their time to help fellow American’s rebuild their lives. 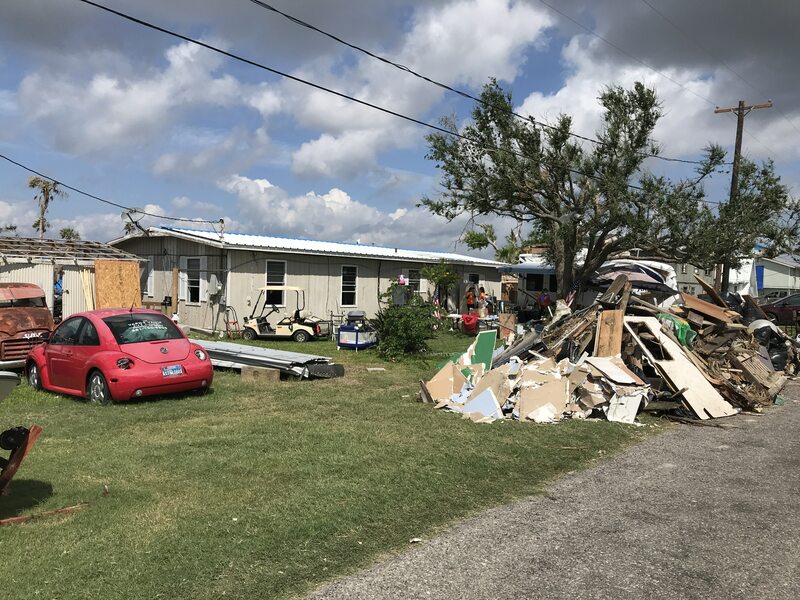 The storms left this community torn apart and in a state of need and recovery. We were able to help one home, one family, one story. We spent 2 days clearing out their home and back yard. We spent time getting to know this family and emotionally supporting them. This couple had an adopted grand daughter and a son with special needs. They were overwhelmed with the amount of work to do and were missing the tools, knowledge and man power to get the job done. 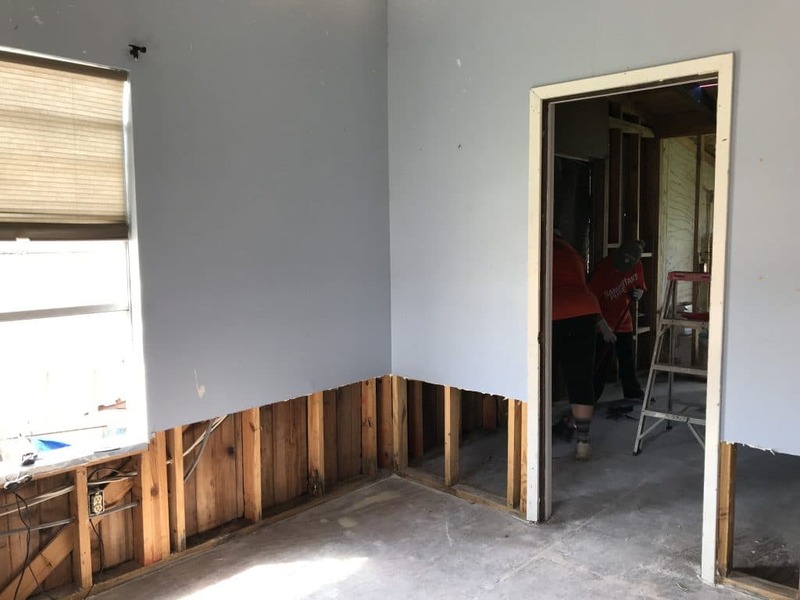 We removed the bottom 2 feet of the walls and insulation to remove mold, walls, nails, flooring and screws so the house was clear and ready for a contractor to come in and begin rebuilding their home. 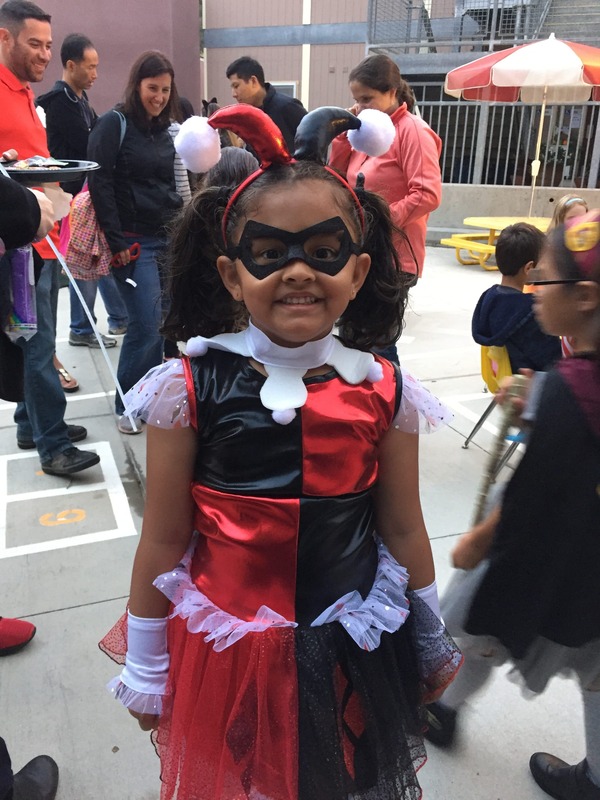 Check out some photos that captured our week! 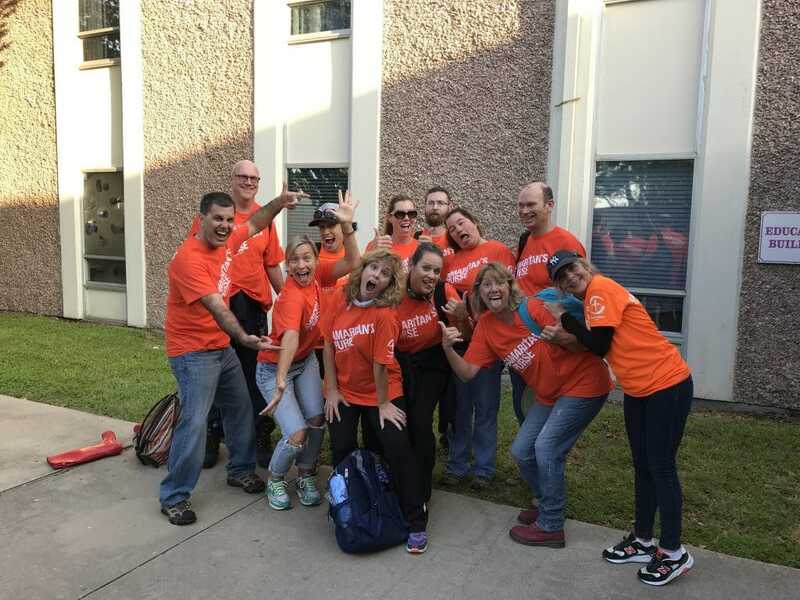 Our San Diego Team from Canyon Springs Church. This is the house we worked on for the weekend. This pictures captures what it looked like right after the storm. This is the outside of the home. The pile near the street is all that we pulled out of their home. These piles are all over the place down there as people go through the rubble and discard the trash that was personal items or parts of their home. This was day 2 after much of the progress has been made. 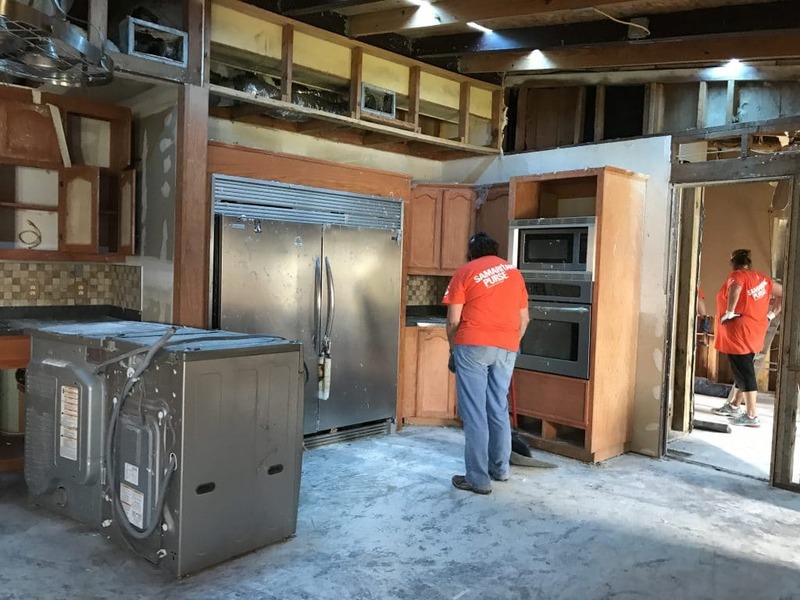 This kitchen was almost all cleared out by the the time we left. We had to remove the wall and insulation from each room to remove the water damage and mold that had built up in 6 weeks. 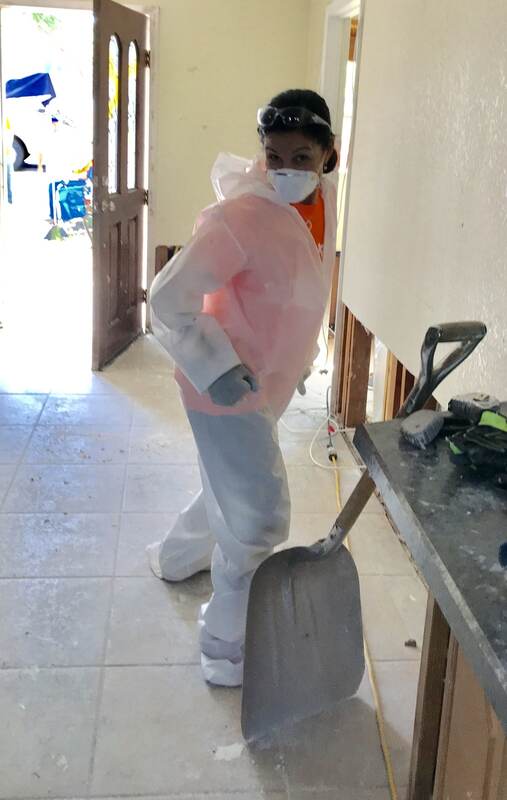 This is Mrs. Miller in her HazMat suit to take out insulation or heavy mold. We all had to wear masks in the house at all times due to mold spores being so bad. These X’s were on the homes. 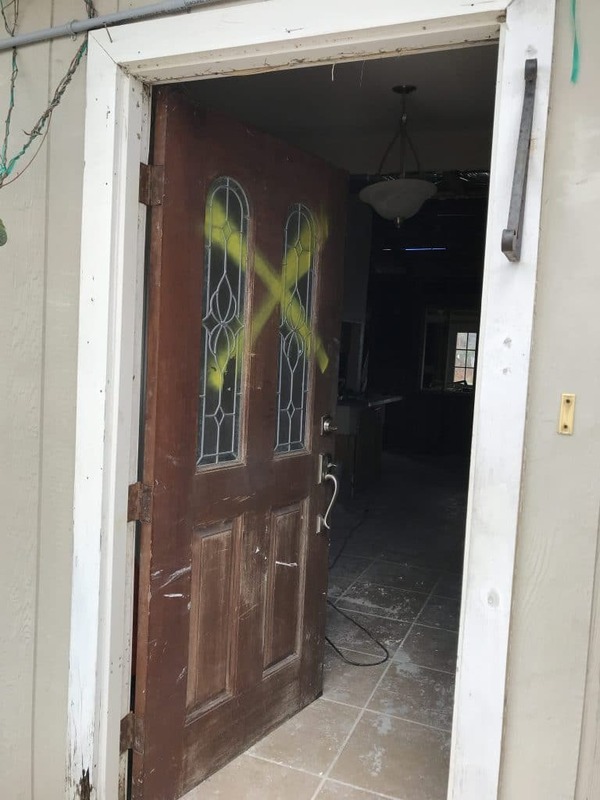 Its a way the fire depart and rescue teams could mark and communicate about the homes that had been evacuated, condemned and other details about the condition of the home. This was our team with the family we helped. They were so kind and so grateful that someone helped them get through this emotional and physical part of the disaster. 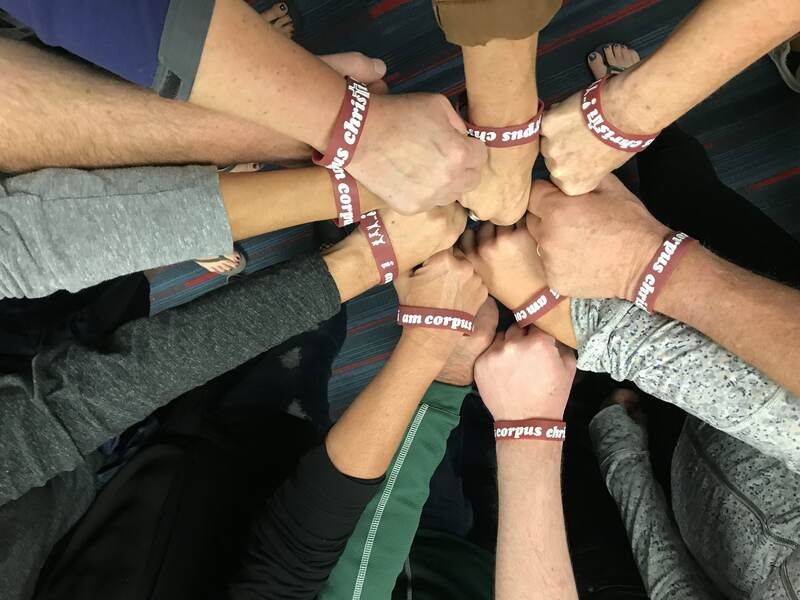 This is our team with bands we received that say, “I am Corpus Christi.” So many people from all over the US traveled near and far to give time to help all the families that had to deal with pain of Hurricane Harvey. 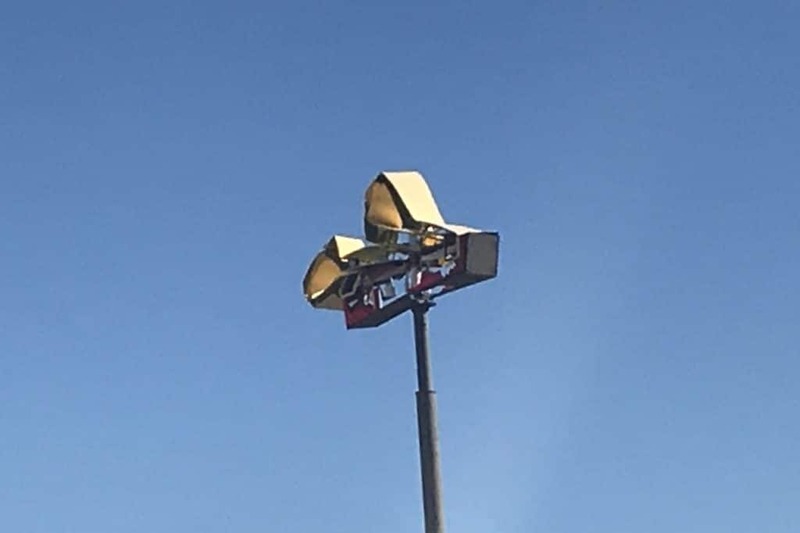 A McDonald’s Sign after the storm. Many local signs were destroyed by the storms. This experience was impacting on many levels, but mostly was a great reminder of the awareness of reality that is out there each day. There are so many in need and so many to help. People right here in our neighborhood to those in other countries. This awareness keeps returning to me and is a large part of why I offer awareness and opportunities of generosity for our class to participate and learn from. It can be hard to look outside of our day to day lives, but I challenge you and your family to grow in awareness and action! Stay tuned for “We Have Heart!” A class experience and effort to give to so many in need! An awareness/action challenge is coming soon! In This Week’s Post: This week’s blog will be modified and will go out early as I’ll be Houston for the entire weekend. Thank you in advance for understanding! Need more leveled books?….look no further! 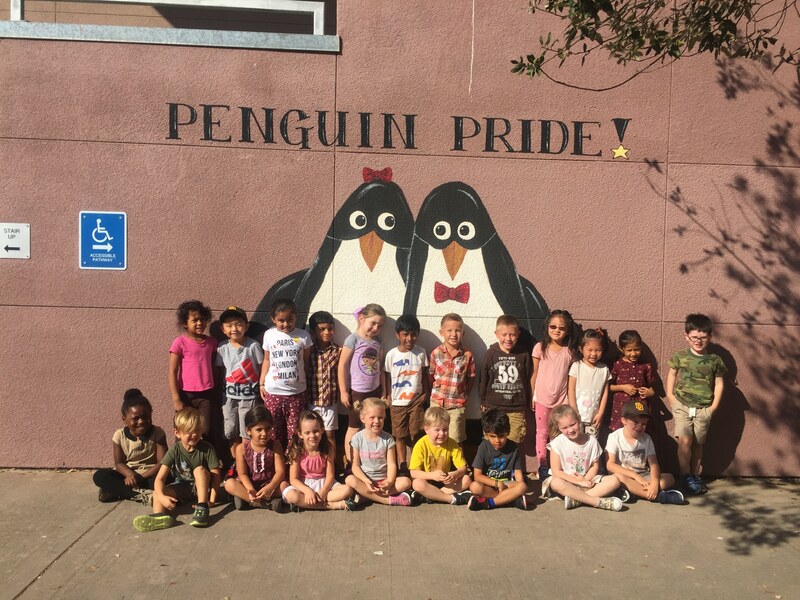 Thanks to our wonderful AFP (that’s all of you 😉 our school has an online reading subscription that your child will be able to use this year and through next summer! Each child has an account set up where they can access fiction and non-fiction books. This is a great option if you are traveling or away for the weekend. 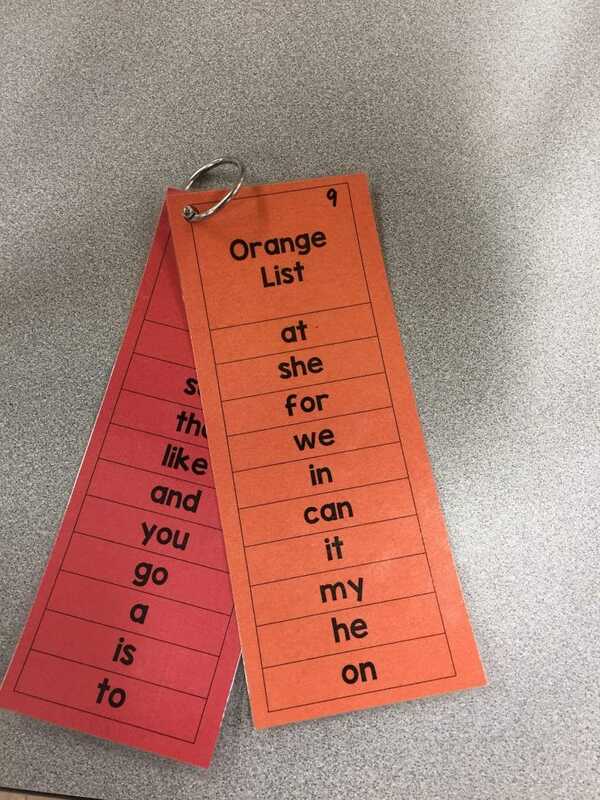 They also should be input into their reading log. Follow the directions below to get to Raz-Kids! Then choose “Technology Academy” from the drop down menu. 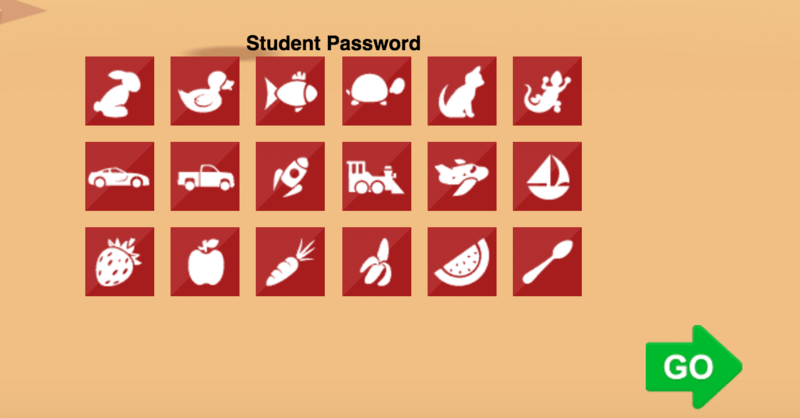 Then click on your password icon that was sent home in your folder. Then choose any book to read (use headphones if you wish). First click on the “headphones” symbol to hear the book to read along. Then click on the “book” symbol to read the book again yourself. You can also record your own voice read or hold down on an unknown word to hear it read to you. In future levels you will need to answer questions in addition to hearing and reading the book. Once all the books in that level are completed you will be moved to the next level. *Note: This doesn’t mean your child is independently reading at this level, but will be able to access books in this level. This week we started Math Tiles. This is a math program that helps with problem solving. The beginning card packets are more simple, but each packet of cards continues to bring new challenges and requires independent problem solving. Volunteers will help facilitate as students work. This week, we tried it as a whole group so they could understand the way it worked and get familiar with the procedures. 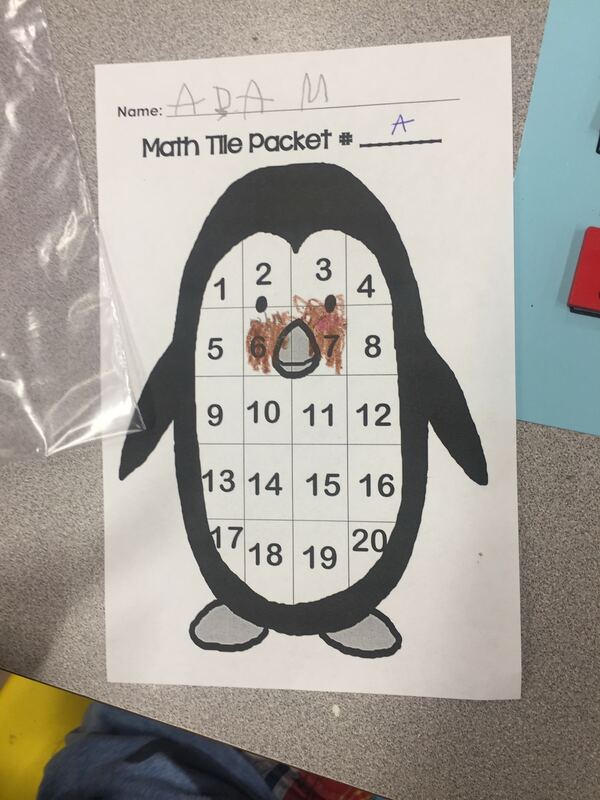 We will start to use Math Tiles in smaller groups. Thank you to all our parent volunteers for all your support! 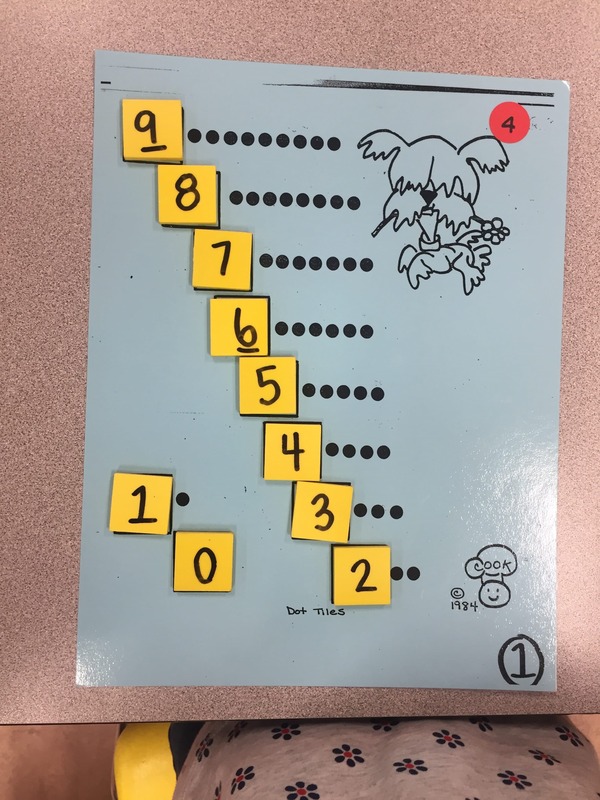 In short, students complete a page of problem solving (in this first set, it is very basic where students match the number of dots to the symbol of the number). After the complete it a parent checks the card and then signs off on their tracking sheet. Once they have completed all the cards in a set, they move on the next set of cards that increases in complexity. A video was posted on Facebook on Wednesday showing the students trying it for the first time! Thank you to all the volunteers who helped to support the class in our first Tile Math Experience! 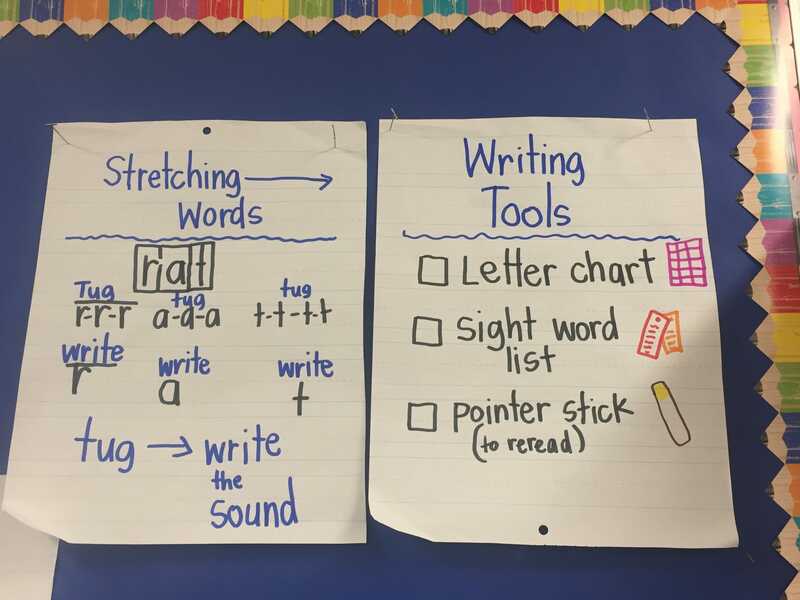 Though those are the main goals we are working on now, we still continue to model correct letter formation, two-finger spaces, and other writing lessons to help us all improve! I’m so proud of these writers and for all they are learning and the effort they are putting forth! We have recently started meeting with students in small reading groups. This allows us to work closely with a group of students on specific skills at their reading level. Students are in groups of 6 or less. We often begin the group with a warm-up read (a familiar book they are able to read through to warm up as we get started). In our group, we discuss the meaning of the book, touch on any vocabulary that may be new or a struggle and often give a goal to work/improve on as they read. 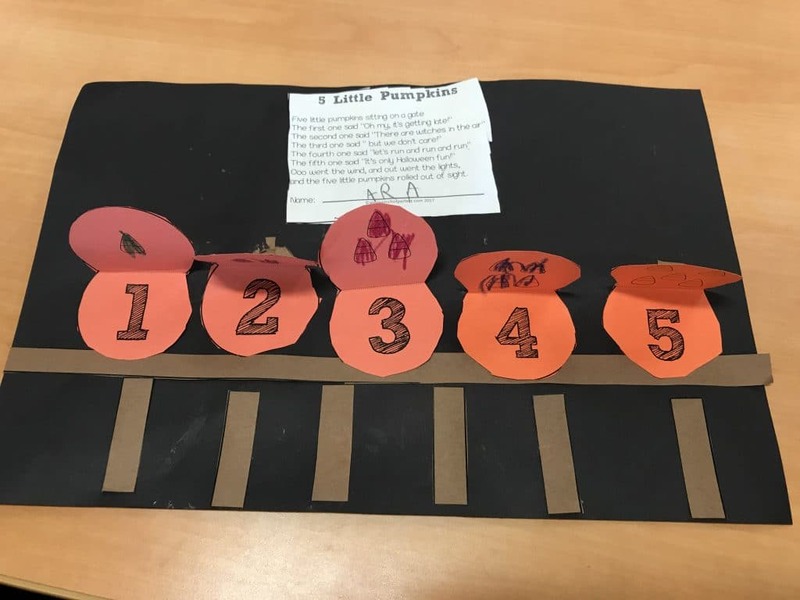 This also allows us as teachers to listen closely to how they are approaching the text and what skills they are starting to take on independently as well as their comprehension of the text. We also have 1-2 volunteers that were trained for EAR (Everyone’s A Reader Program) at our school who will also read with groups so that the groups can get additional reading group time in during the week! Keep on working on those sight words! We go over them each day in our morning routine as well! Hopefully the kids have enjoyed the My Pile, Your Pile game with the red and orange words. 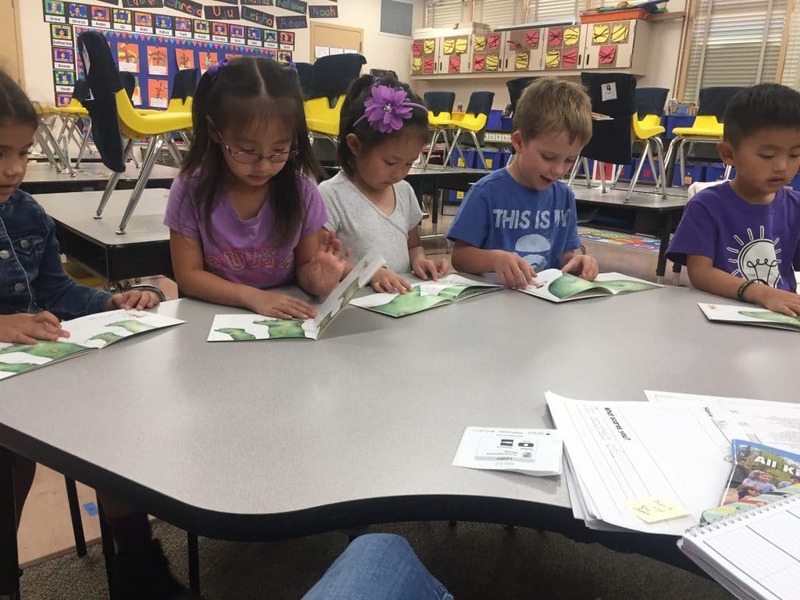 This is a fast easy way (if you can commit to playing 1x a day or every other day) that will created a great foundation for the new reading skill that is happening with your child! 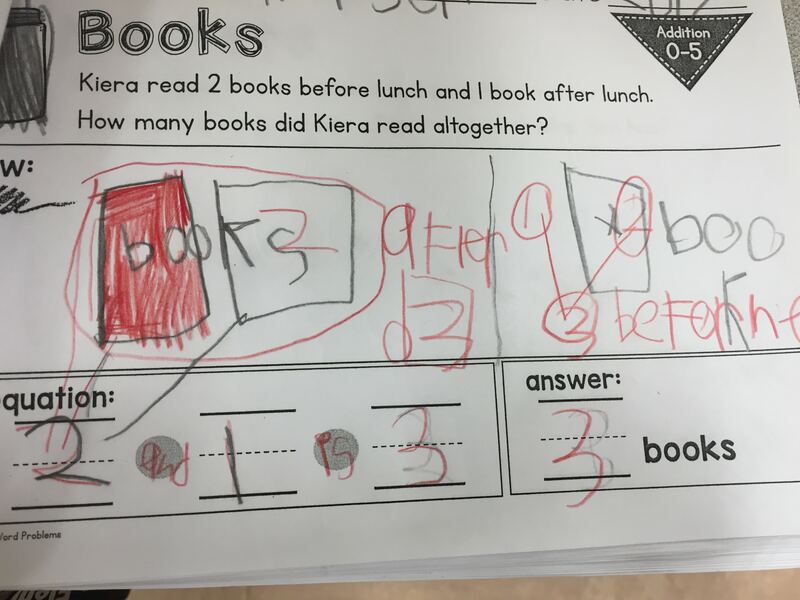 We are continuing to check red words with students. Next week we will be attending and all-school assembly to celebrate Miss Ellen Browning Scripps Birthday. 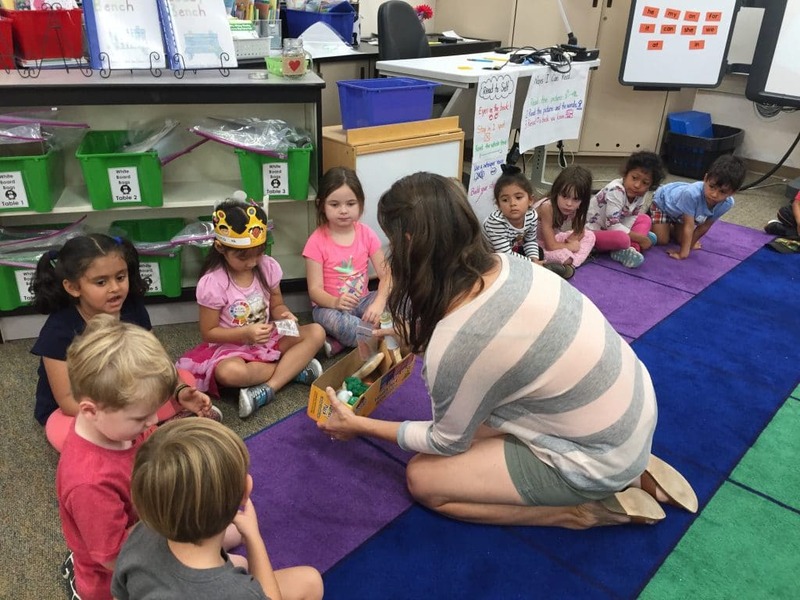 This year, the Kindergartners and TK’s will be creating their own hats to wear to the assembly. 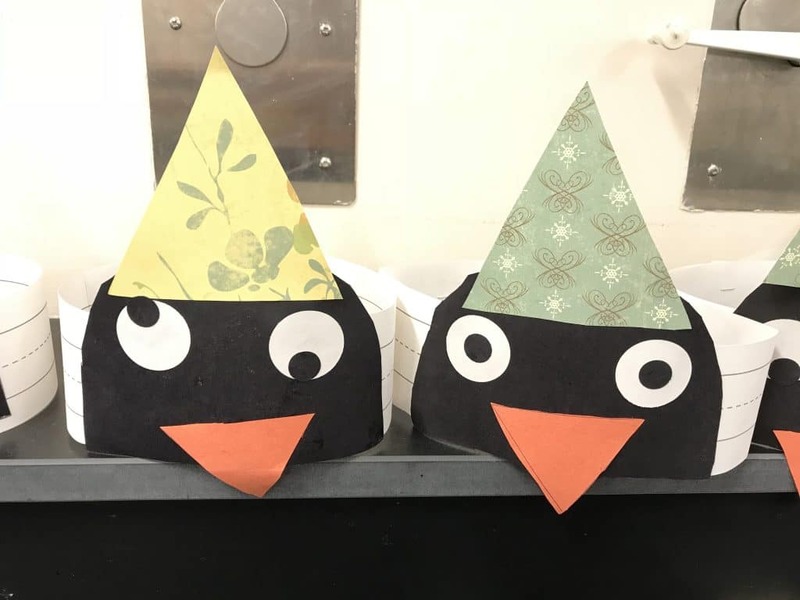 On Monday Mrs. Leatherwood helped the students to make their party hats! A special thanks you to parents who helped prep this project! In case you haven’t noticed the table each Thursday morning….You are able to open a savings account in your child’s name and receive a percentage back up to $500. MFCU is at our school each Thursday before school so that you can make your deposit right on campus. As another incentive your child will get to choose a little prize each time they make a deposit! A win for all! WOW!!! We almost to 100% of our envelopes being returned! Great team work! We only need 3 envelopes left! 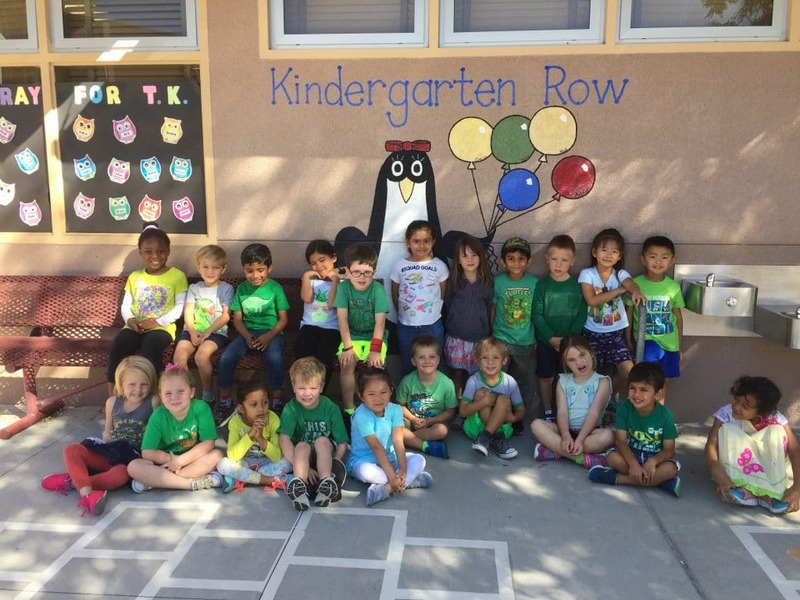 Thank you for all you’ve contributed to our school! If you need a new envelope there are blank ones at the office. This month our school is focusing on the character trait of Generosity! This is a special trait to me as we focus on the giving to others. We will practice many ways of being generous this year in a variety of ways. Meaghan Gallagher came in this week to teach us about Generosity! She gave a brief explanation and description to the students. Then she gave each student a item that would soon be a part of telling the story of Stone Soup. As she read the story the students were able to contribute their item as it was told in the story. For example, when she told that the people contributed onions to the soup, the student who had the plastic onion, would come and bring it to the put in the pot. This was not only a great illustration of the story, but helped the students to understand how being generous (vs. being selfish) helped to make something very needed for a community who has previously stayed isolated from each other. It also gave great happiness to villagers who were missing joy from their lives. 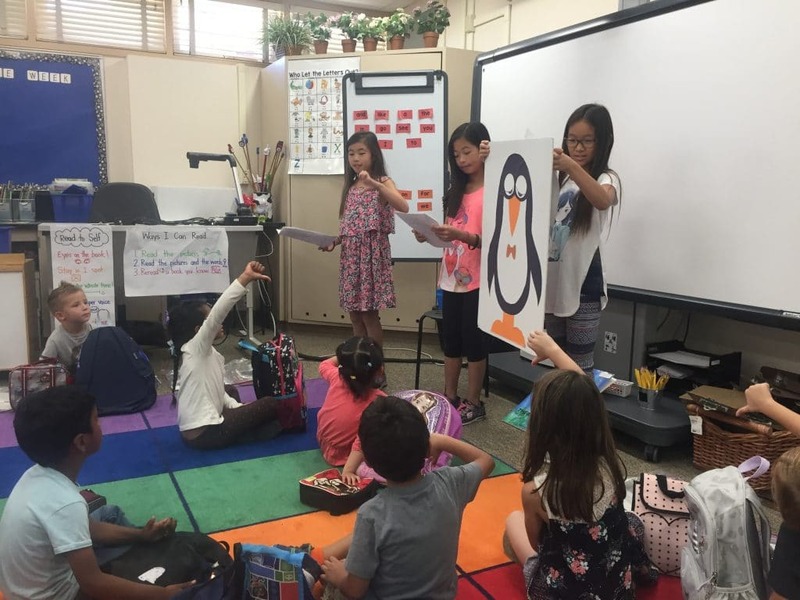 She closed up the lesson by asking the students to think about ways they could generous with others at school and home. Next week, Mrs. Leatherwood will be teaching on Friday, October 13, 2017 as I will be in Houston. 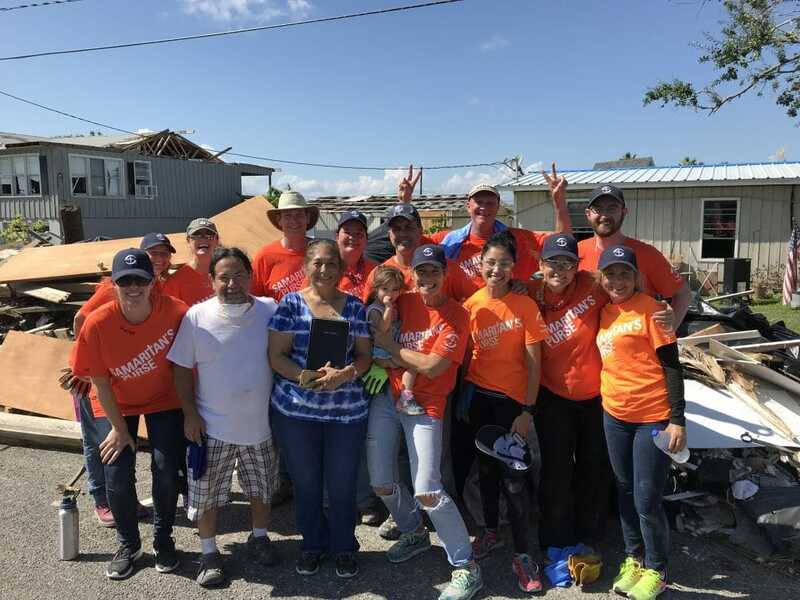 An opportunity came my way that allowed me to go to the Corpus Christie area to help with the relief efforts that were devastated by the recent hurricanes. Our wonderful Mrs. Leatherwood will be there in my place. Please give warm thoughts for all those who are still piecing their lives back together from the natural disasters that hit and affected so many people. 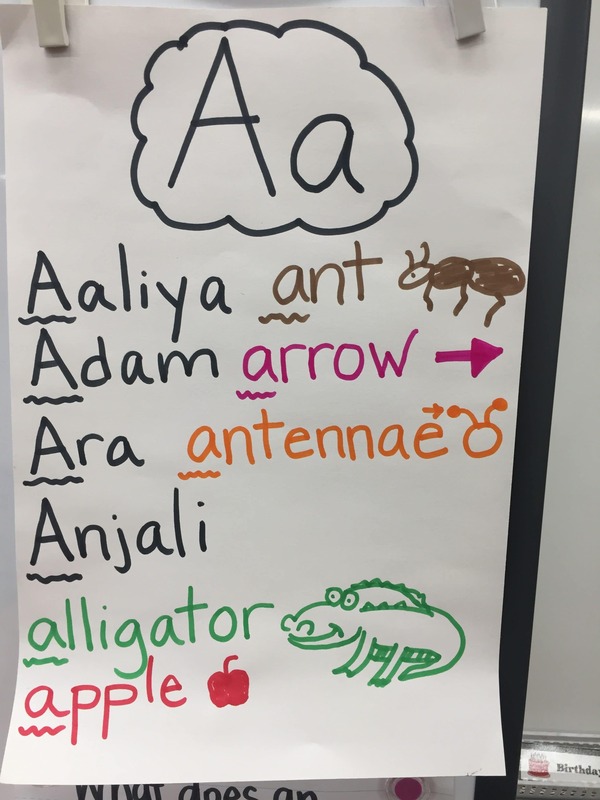 This week we worked on the letter Aa and the sound Aa. We practiced writing it with correct formation (“Make a ‘c’, up and down …with no lifting of the pencil). The letter Aa can make multiple sounds so that can be tricky. We mostly tried to focus on the Alligator /a/ sound and the Angel /a/ sound. This week in math we mostly focused on our Problem of the Day book. We are using this time to simultaneously work on “Active Partnerships.” We are slowly learning what this means. For now we have learned we sit Elbow to Elbow/Knee to Knee. Speaking mathematically we are working to show our thinking in picture or number bond and writing the equation. For now, we are using the words “and”/”is” to share the number sentence. Friday a sample of this went home. That was the first one we had ever done, so students didn’t have much understanding or practice with these at that point. We have now done 3 of these and we’ve seen so much improvement already! Interactive Writing Time: We used our write board again this week! We are getting better with each use. 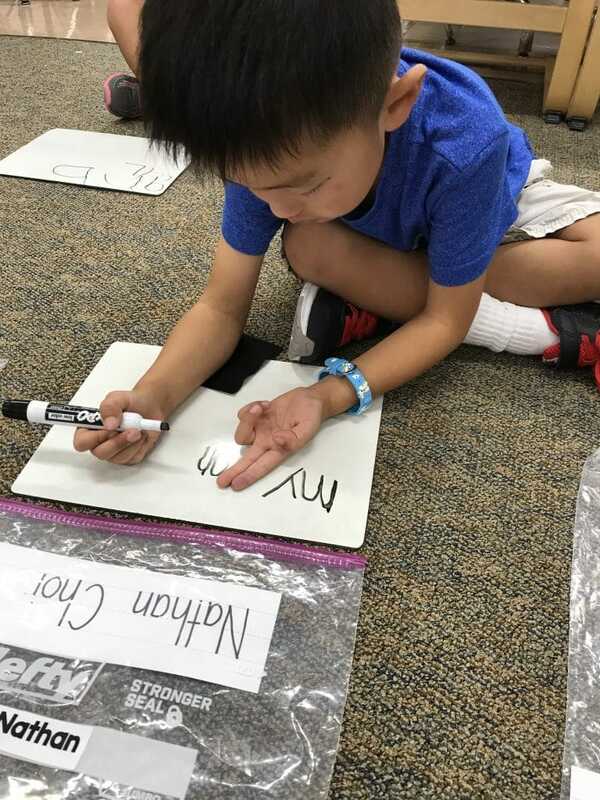 They are working on writing their full name with correct casing. 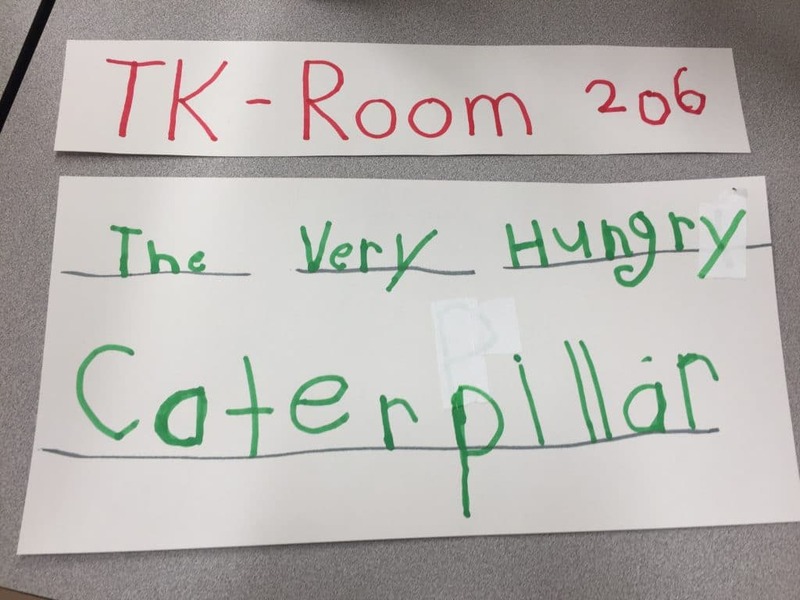 We then wrote a title for our caterpillars by the backpack hooks. Friends came up to help to help us model writing the words (including stretching the sounds and letter formation). Fine Artists – Our first Fine Artists lesson happened this week! Students came to Art Room and learned about a new artist and were able to try on the lesson themselves. 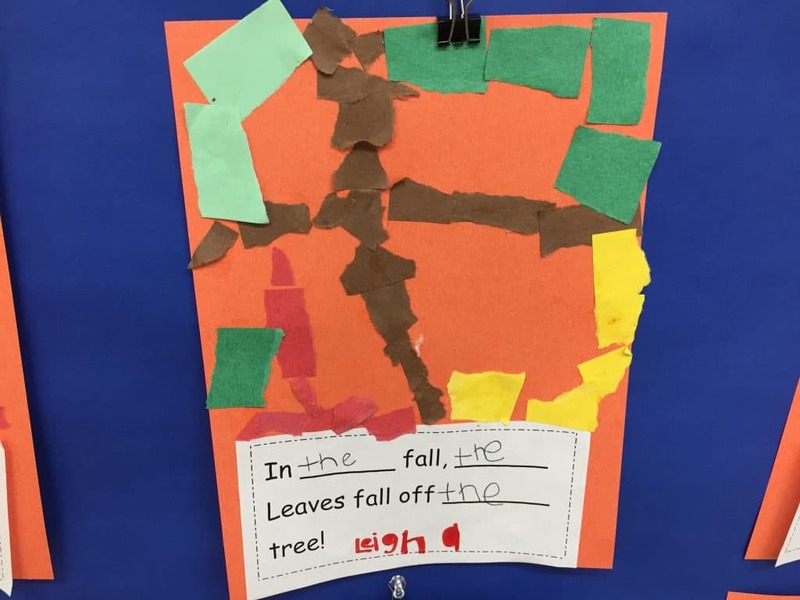 The class also made some Fall Art with Mrs. Leatherwood this week! 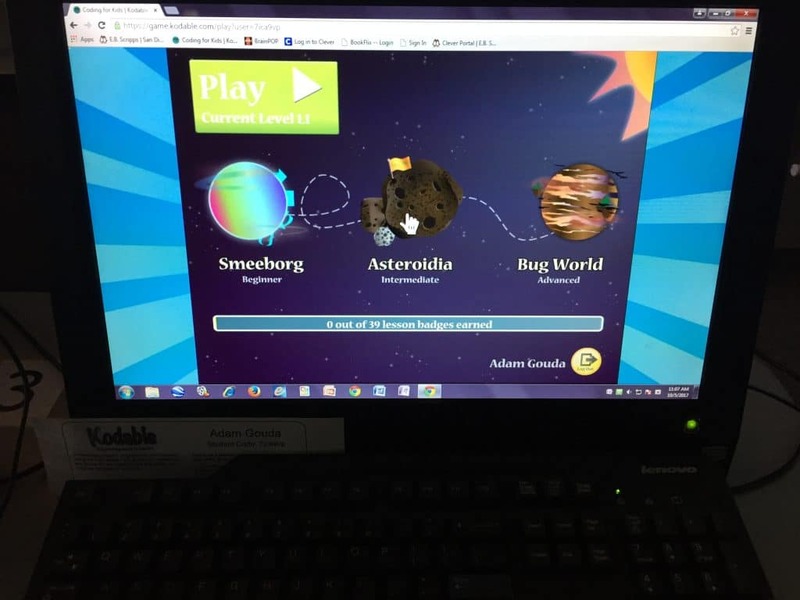 This week in Technology Academy your student tried out a new program that played with beginner coding. 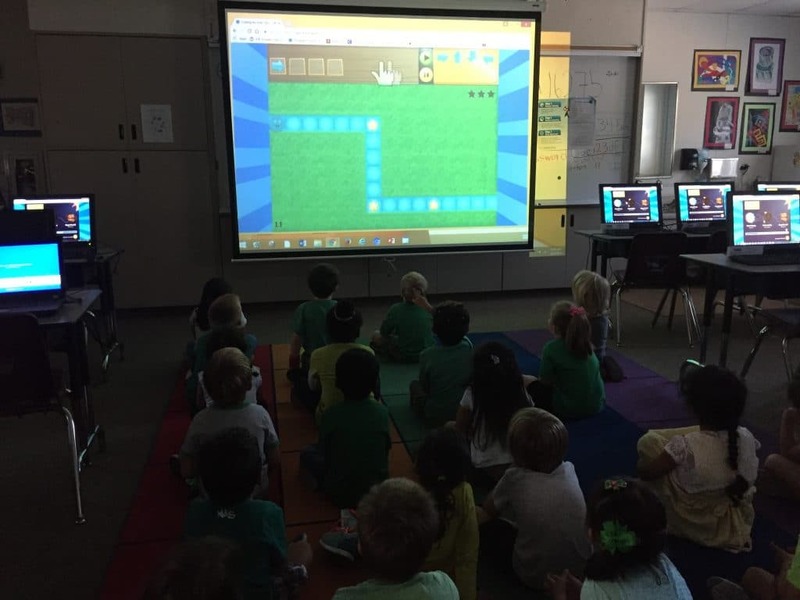 Students were able to attempt building their own code with arrows. This is a website the students will soon be able to try on at home! 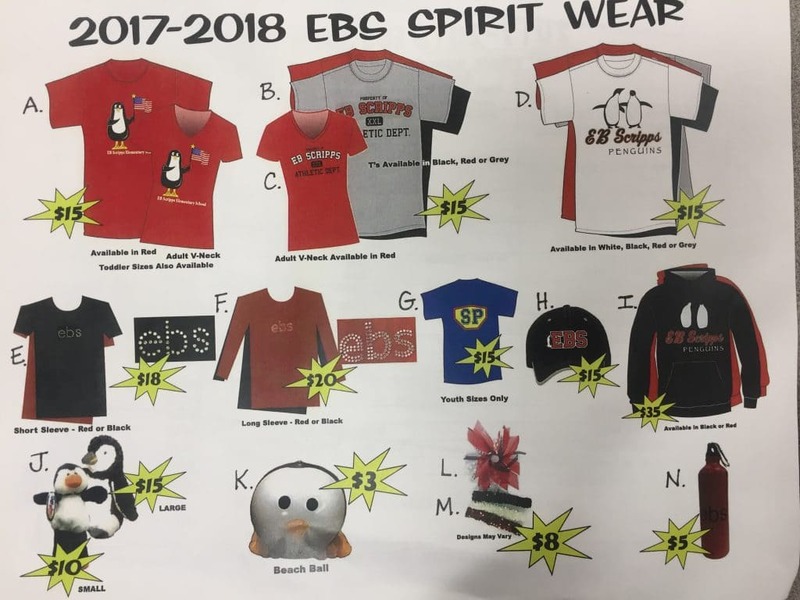 Need some EBS Spirit Wear for Fridays…check out the order form that went home last week! Turn in Library Books by Tuesday, October 11th in order to check out a book on Wednesday. Turn in Book Borrow Bags every Wednesday to get new books. Some Federal Survey Cards may be returned to correctly fill out per Mrs. Sloan’s directions as the some of it put out by the state was new this year and unclear. Thank you for your patience and understanding. 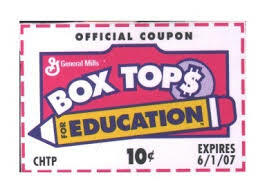 Our school is having their first Box Top Collection of the year! From October 3rd – 15th. This helps bring money to our school to help fund all that we have! Feel free to collect from all your neighbors and family. 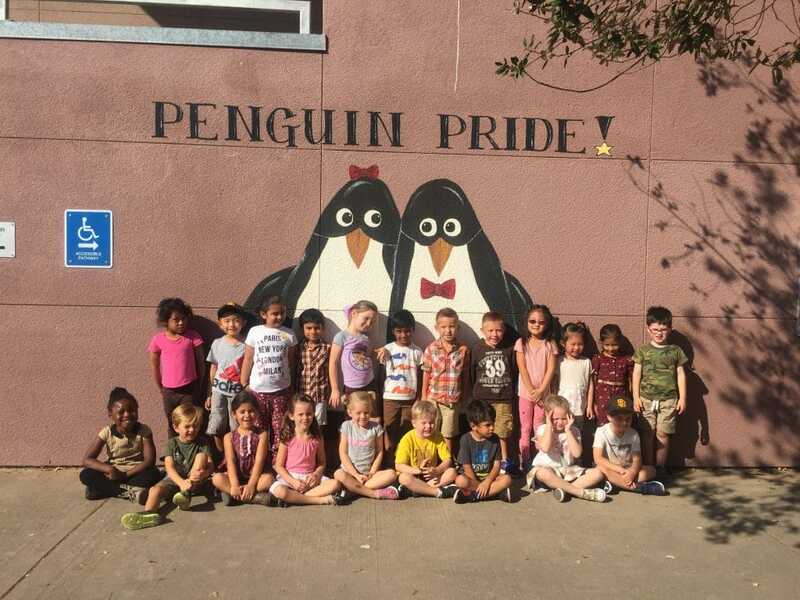 The class with the most will get a popsicle party. A special thanks for our parent volunteers who are our class representatives. Thank you Dunja La Rosa and Sura Pittenger who will be collecting, counting and turning in our class Box Tops. A new updated list went out this week. Another updated copy will come out soon! Nurse Dee is working like a mad woman to make this all happen (thank you Nurse Dee)! If you are able and willing to get D Cleared (meaning you need to go to our District Office to get fingerprinted and fill out the D Clearance Form), please make sure you are at a B Clearance level before doing so. If you are on the most recent clearance list, you can stop by Nurse Dee to pick up Clearance D form. Thank you in advance for jumping through hoops to volunteer and understanding it is to keep everyone safe! Apologies for not sending out a paper copy of the calendar this last week. There were changes made each day as many people’s schedules either changed or we had more parents that were adding into the volunteer schedule (hooray!). Thank you for your patience. 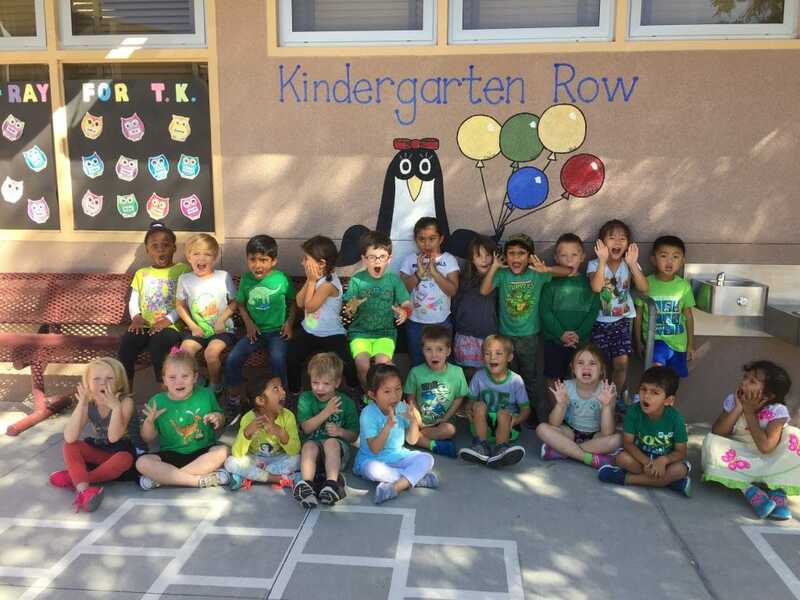 Two young groups from a local Girl Scout Troop had a great idea to make a Buddy Bench for our Kindergarten/TK playground. 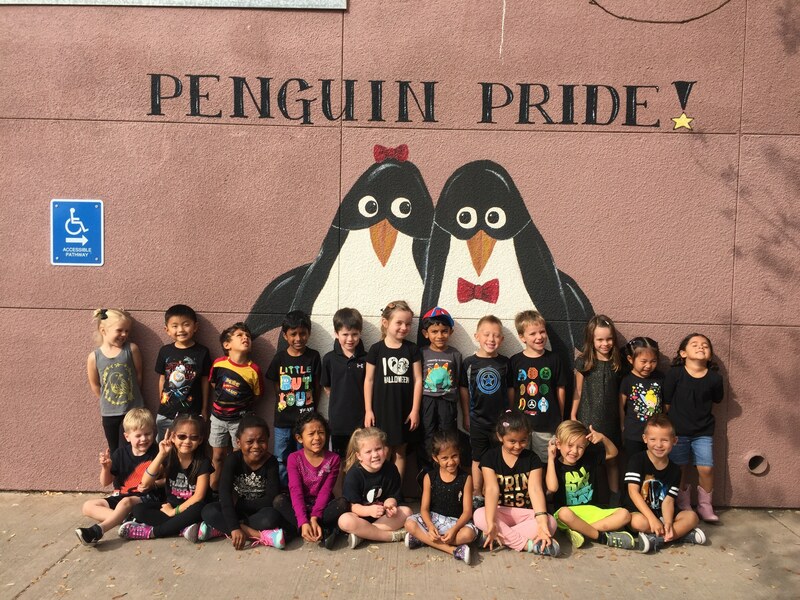 They painted it colorfully and delivered it to be used during recess. 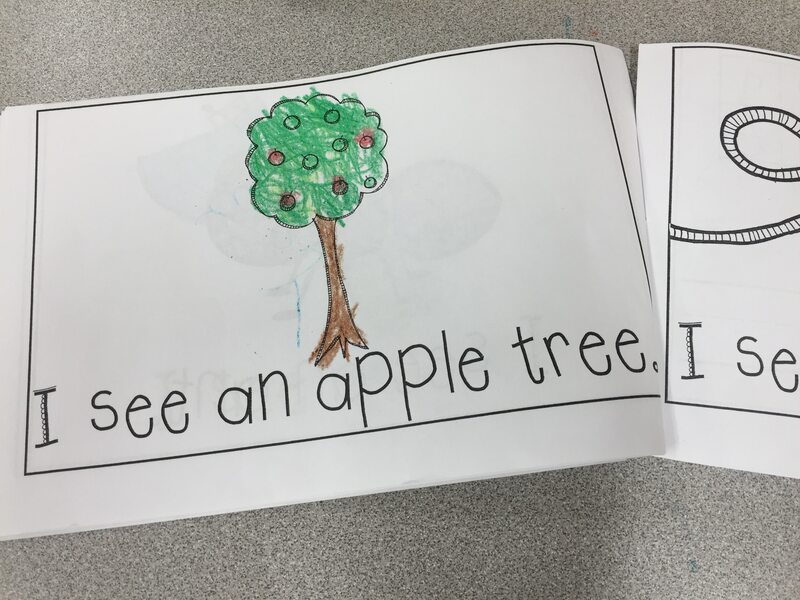 The also created a booklet to go along with the bench to explain that when someone is looking for a friend to play with they can sit on the buddy bench. 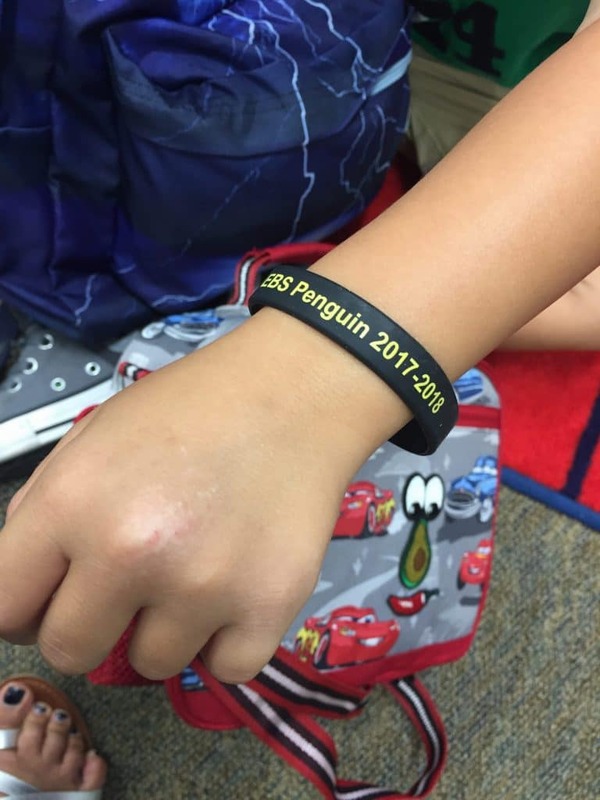 This lets others know who is wanting to play with a friend. 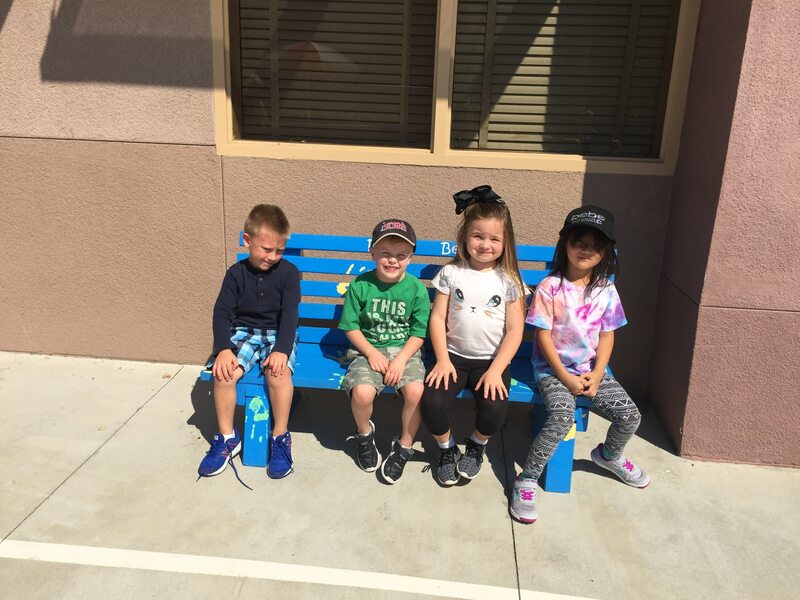 The kids have enjoyed the bench and sometimes even choose to sit on the bench together. 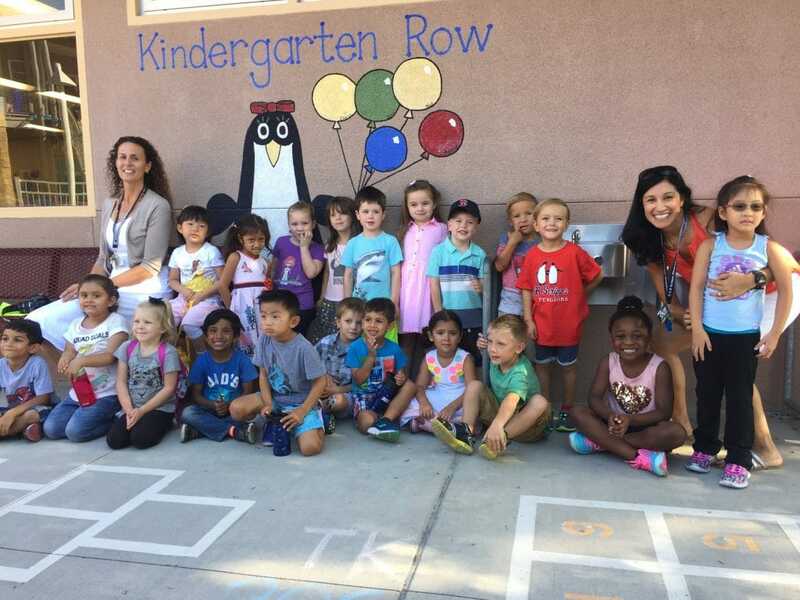 Its very typical for kids at the beginning of the year to feel overwhelmed or shy about the unstructured time at recess. 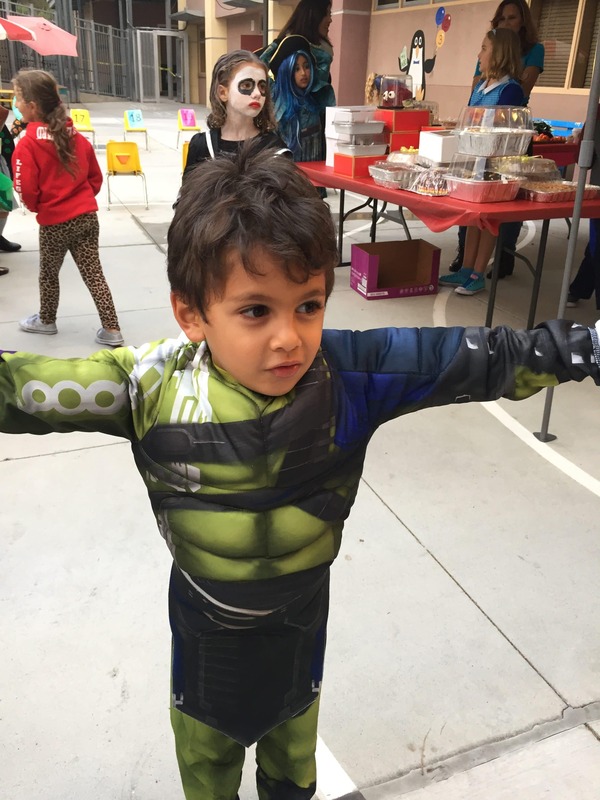 Some simply observe until they are ready to jump in and take part and others might try playing with many different friends and activities to see where they enjoy spending their choice time on the playground. This has been a great tool to help the students feel more comfortable with requesting a friend to play with them. This week we studied the letter and sound of Mm. 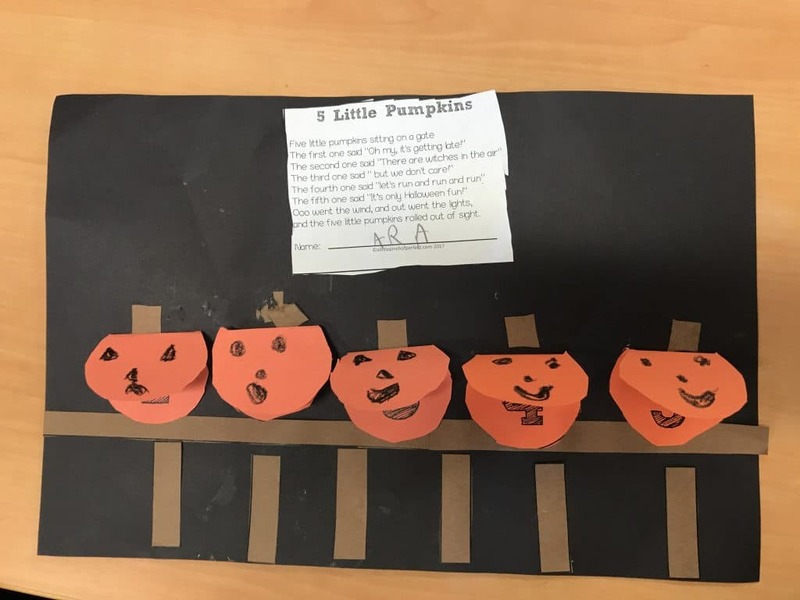 We practiced writing this letter, saying this letter, saying its sound, coming up words that start with this letter and reading words and our book that includes Mm words. 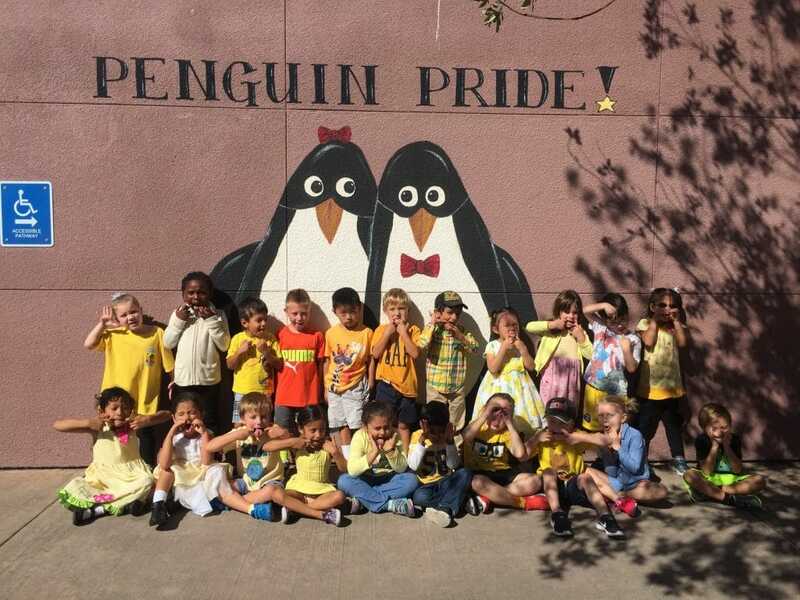 This week’s color was yellow! 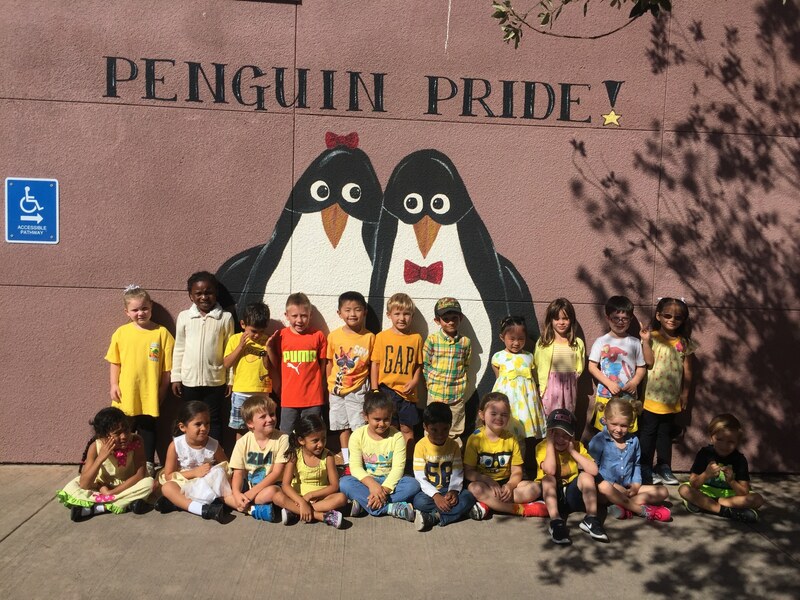 Check out our yellow picture! Silly and NOT Silly! Next week’s color is GREEN. 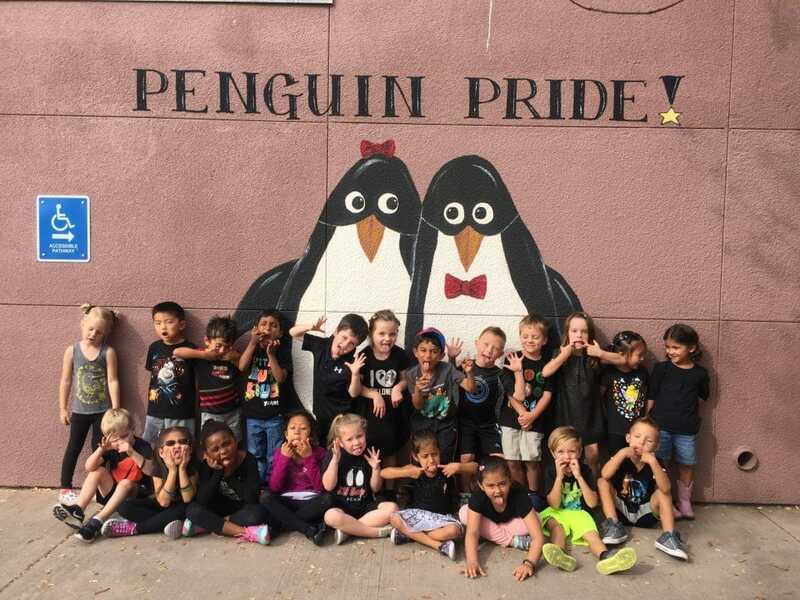 (This week the sun changed placed and popped out big so our silly picture came out a little better this week…who can resist a silly pose! This will all take a lot of time and learning which we will be doing this whole year. In addition we plan to spend a lot of time on the partnership work. This will mostly include the discussion; how to share your thinking, how to listen to your partners thinking and how to ask questions to your partner if you don’t understand or can’t hear them. This will be a big challenge but definitely one that each child will improve on and continue on next year as well. Writing Craft: This week we practiced how to add on a new page to our story when we have more to say about a topic. This took some time to build on the concept. The students enjoyed this and are starting to understand and love! Interactive Writing: At the end of this week, we finally introduced our Interactive Writing Bags. Each bag has 4 items in it: a whiteboard, a dry erase marker, a felt strip (eraser) and a card with their first and last name on it. 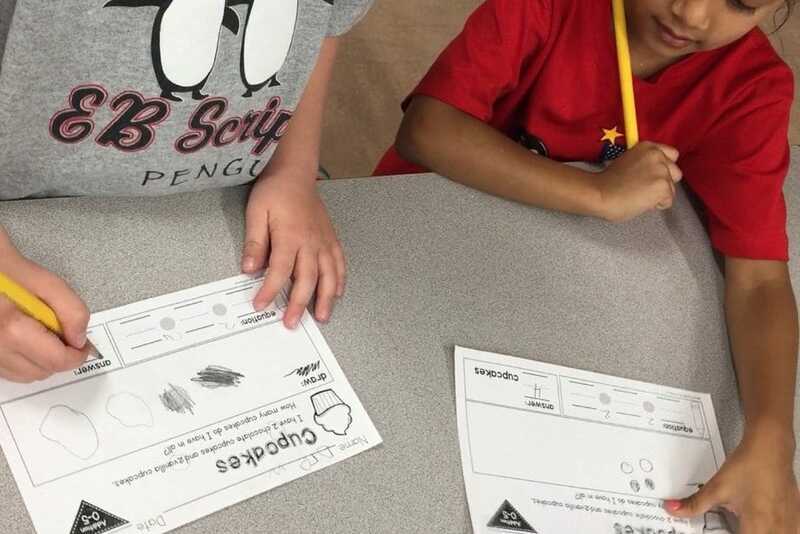 We discussed how to take care of the bags and to be careful to not mark other items with our marker. The students were able to try writing on the boards to explore and try writing their first and last name in proper casing using the card as support. We will continue to use these each week as we practice learning how to write. 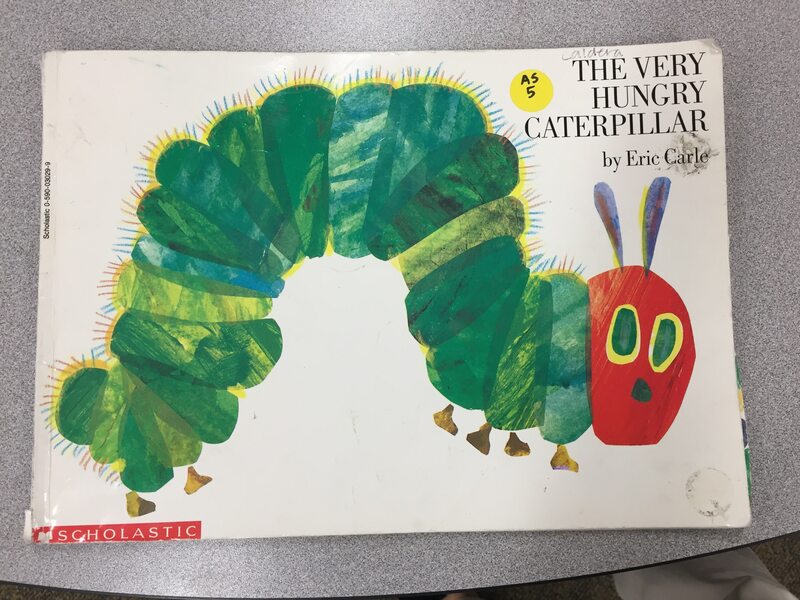 This week Mrs. Leatherwood read The Very Hungry Caterpillar by Eric Carle. This was our monthly window art project, given by Nikita Malavia. After the students created their own caterpillar. You likely saw these by the backpack area. We have wiggled our way through a whole month of TK and we’ve grown so much! October Book Orders went home this past Friday. Take time to select any books you wish to purchase. I can hold any book separate to give if you ever wish to keep some as a surprise for your child for any holidays or birthdays. Please complete all book orders by Thursday, October 5th. Return Book Borrow Bags every Wednesday to get new books. Volunteers start this week for all who are cleared. More are being processed each day! Picture Day – 8:45ish am Feel free to stay if you are able to help.